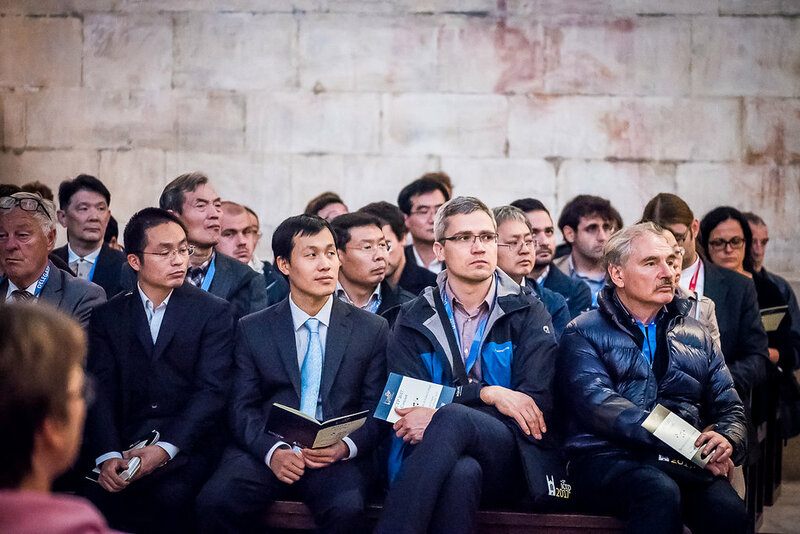 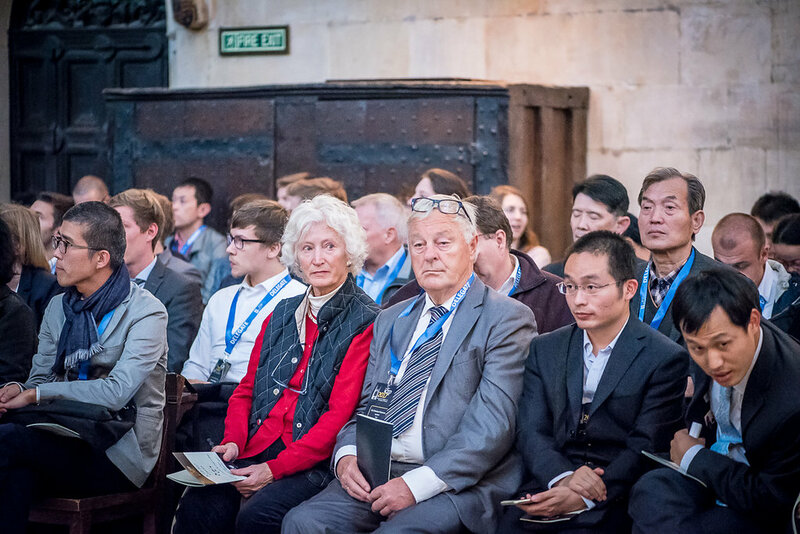 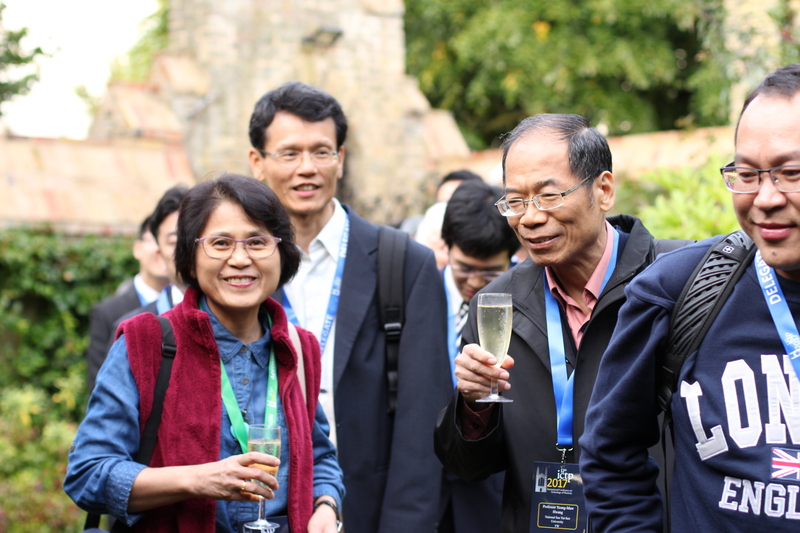 On Sunday 17th September, our delegates began arriving at the Porters' Lodge at Peterhouse, where they were led through the beautiful ancient courtyards to our registration tent. 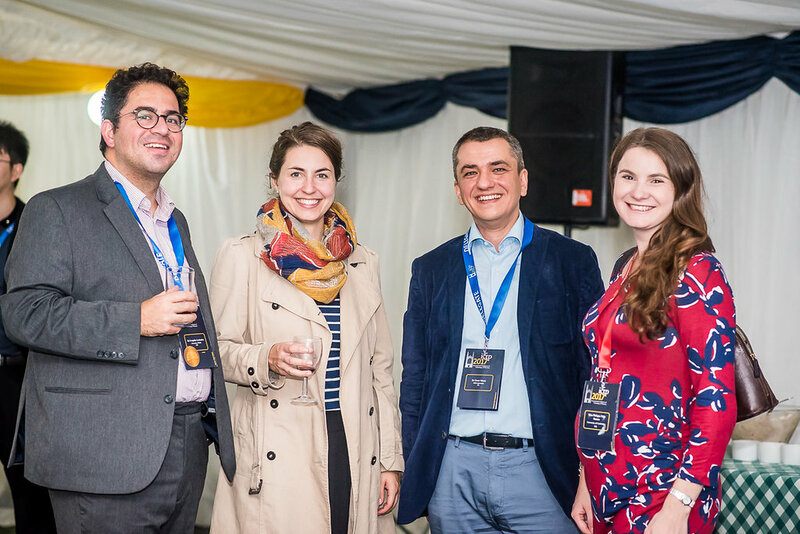 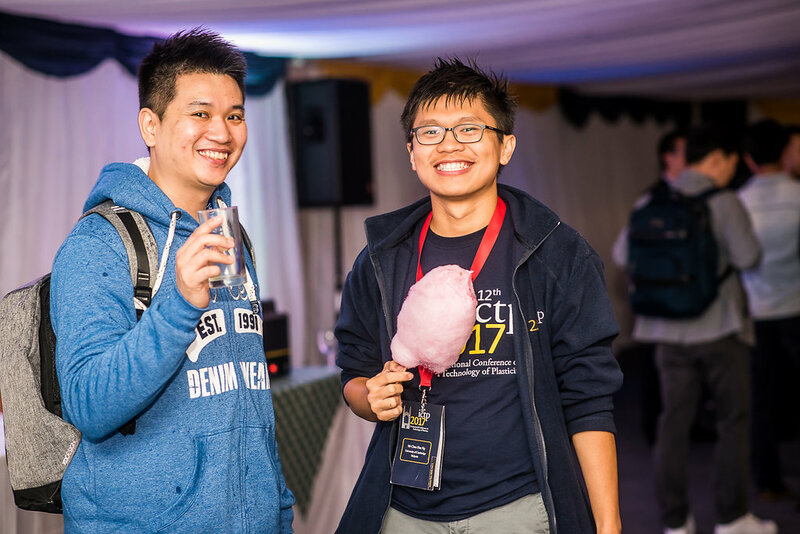 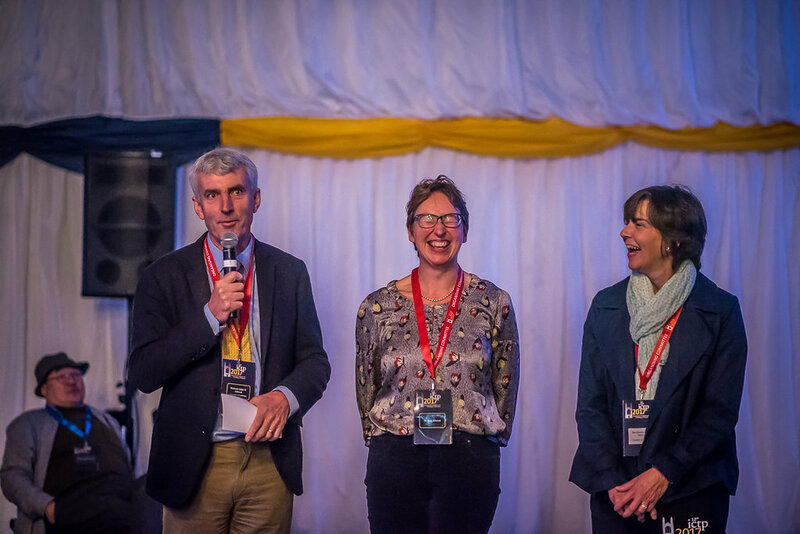 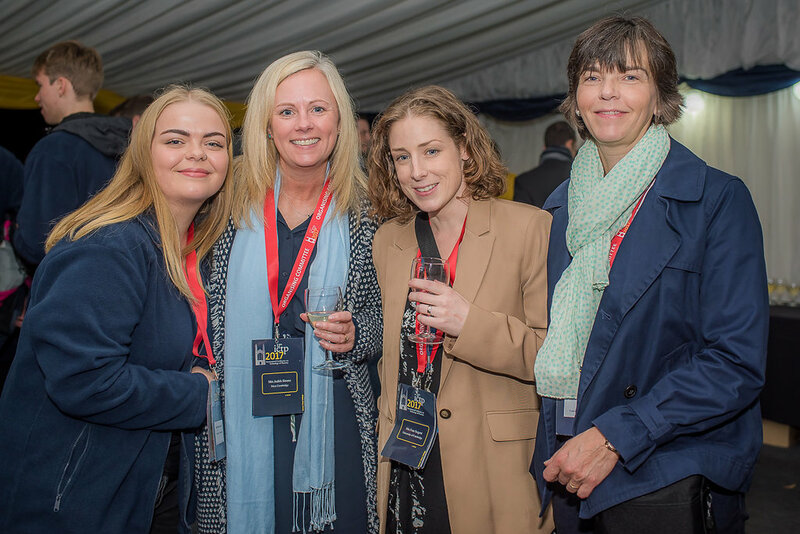 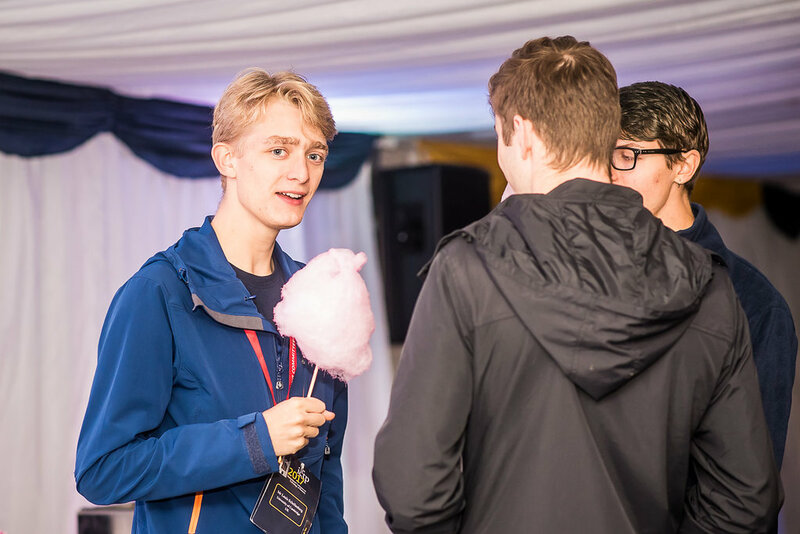 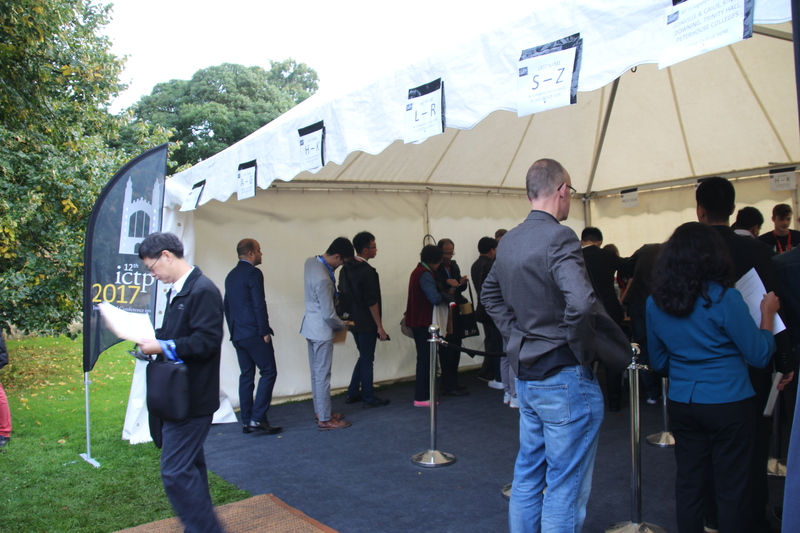 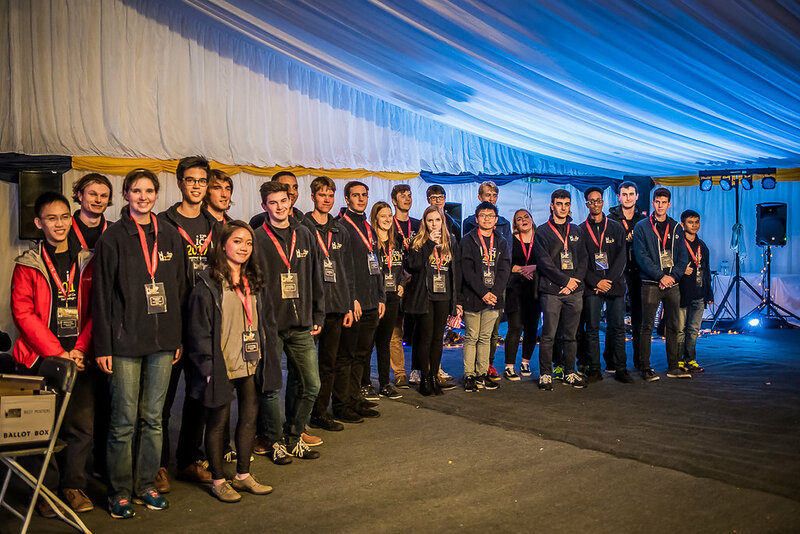 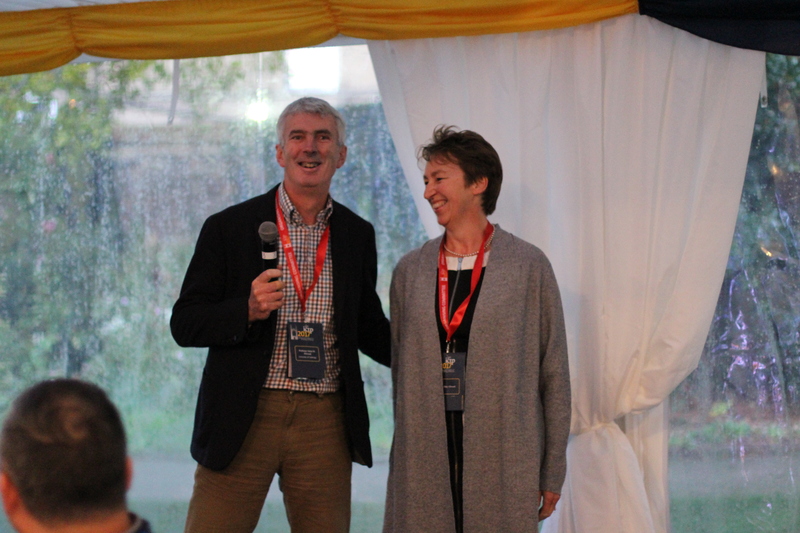 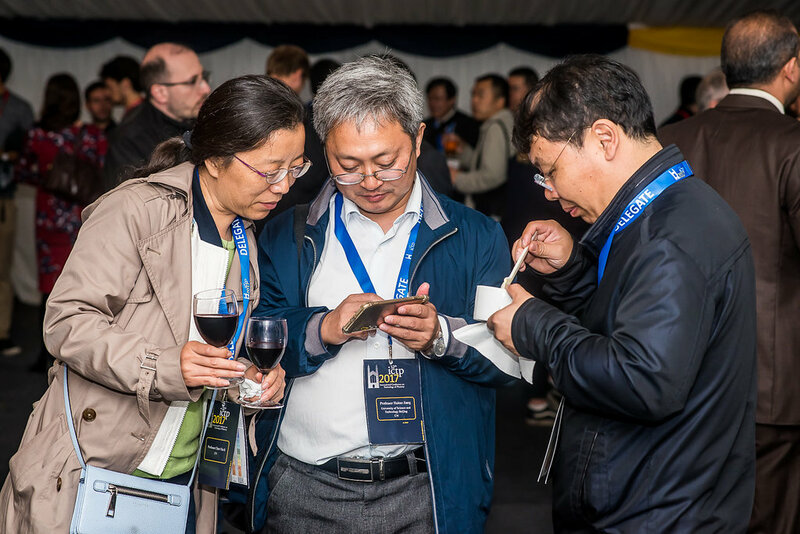 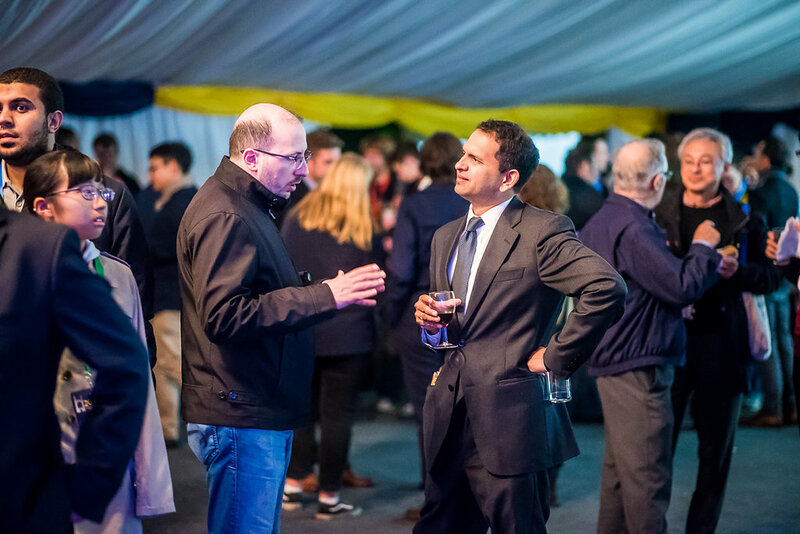 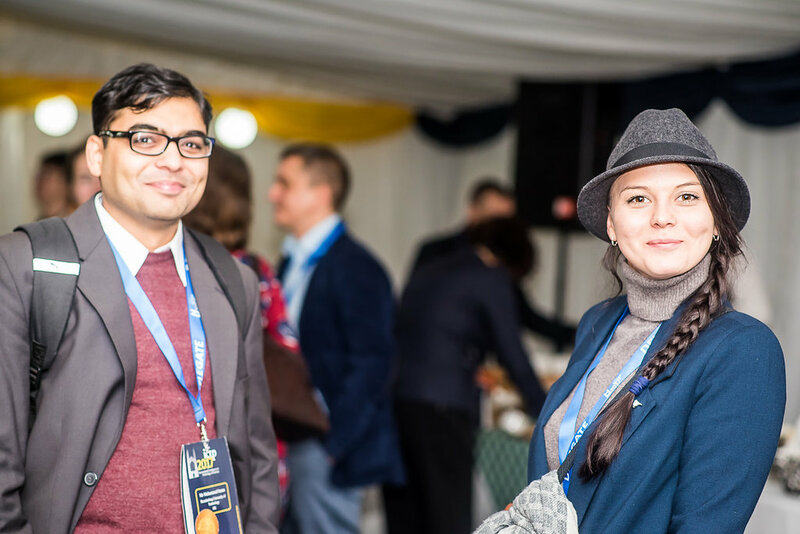 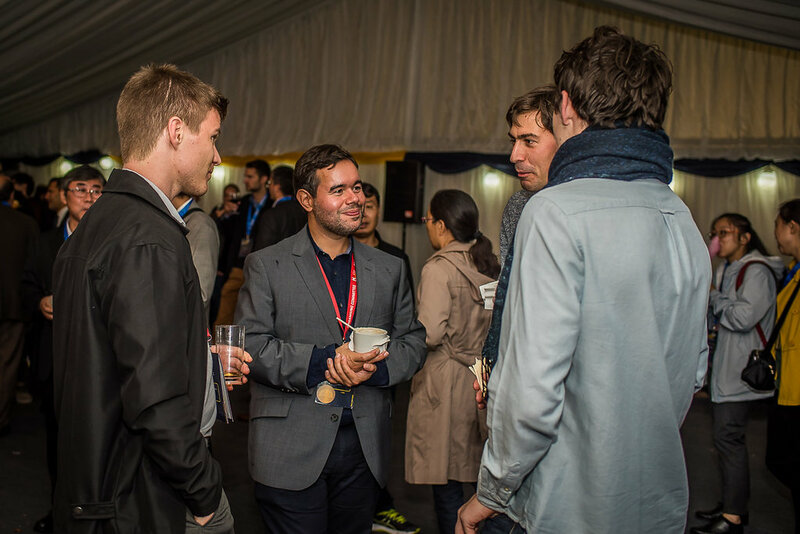 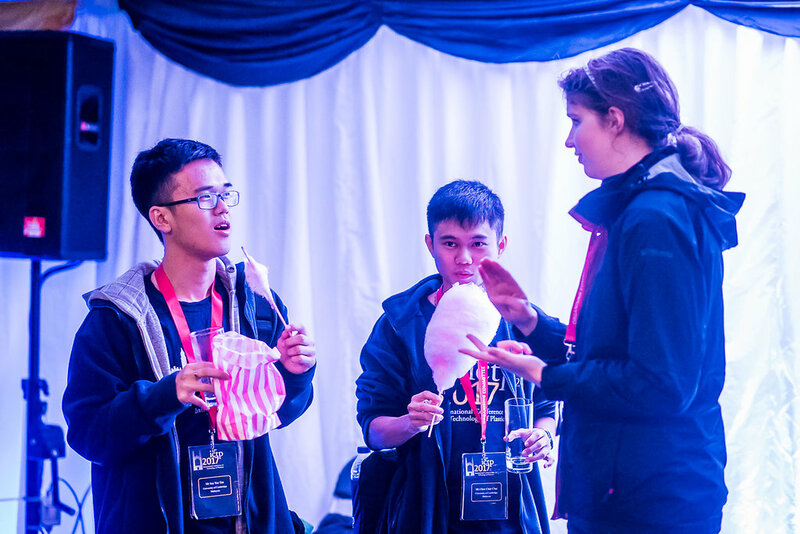 After collecting bags, programmes and badges, everyone was welcomed to the Peterhouse Marquee, which they would get to know very well over the next week! 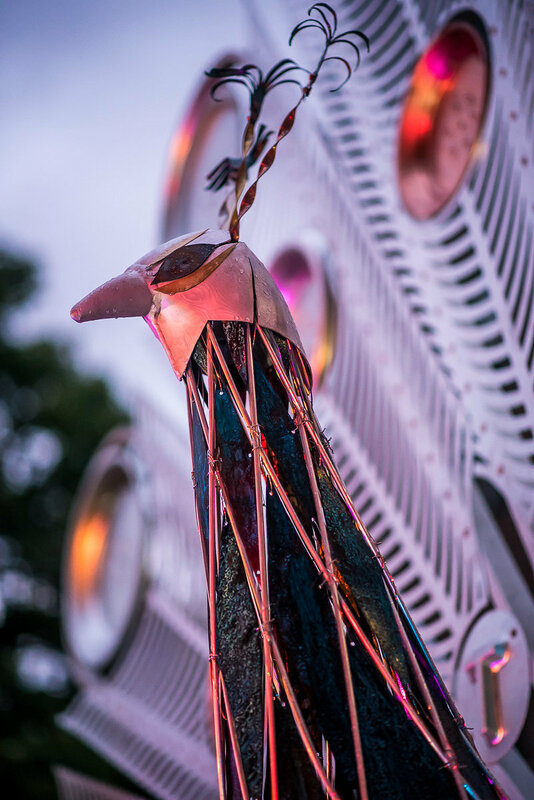 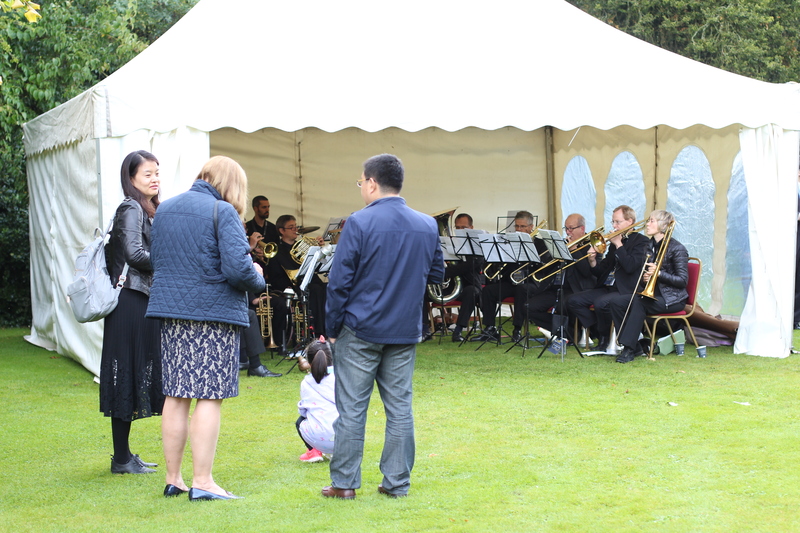 Although the weather was predictably unpredictable, we had an informal celebration of the gathering with great food and drinks, and fabulous music from a local band, Prime Brass. 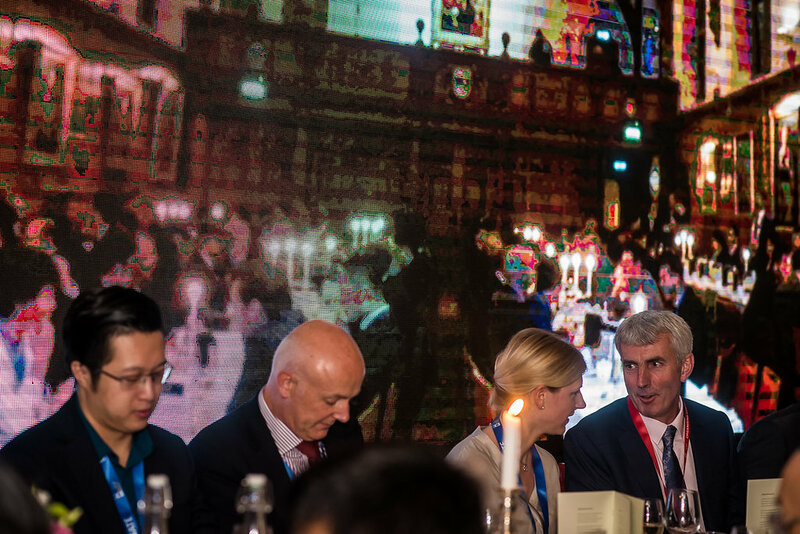 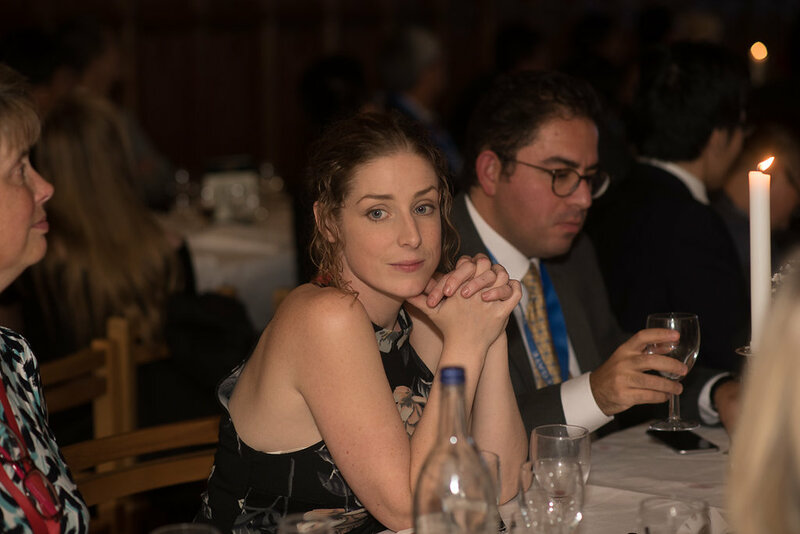 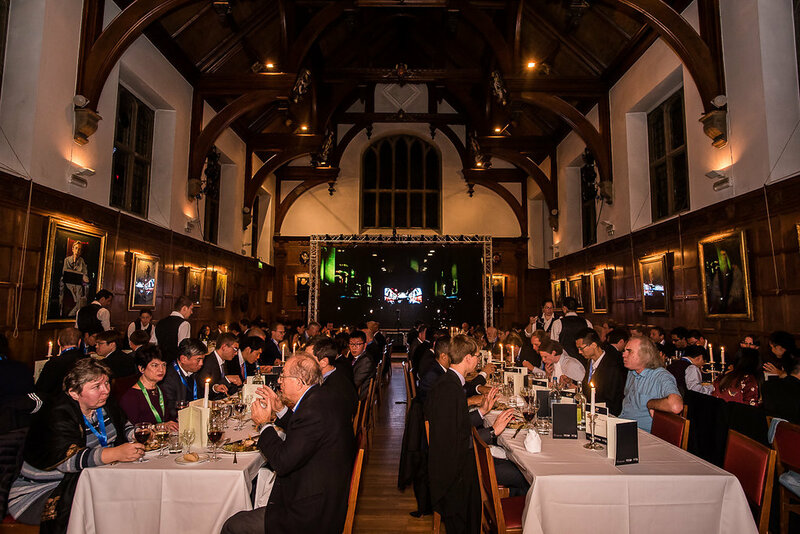 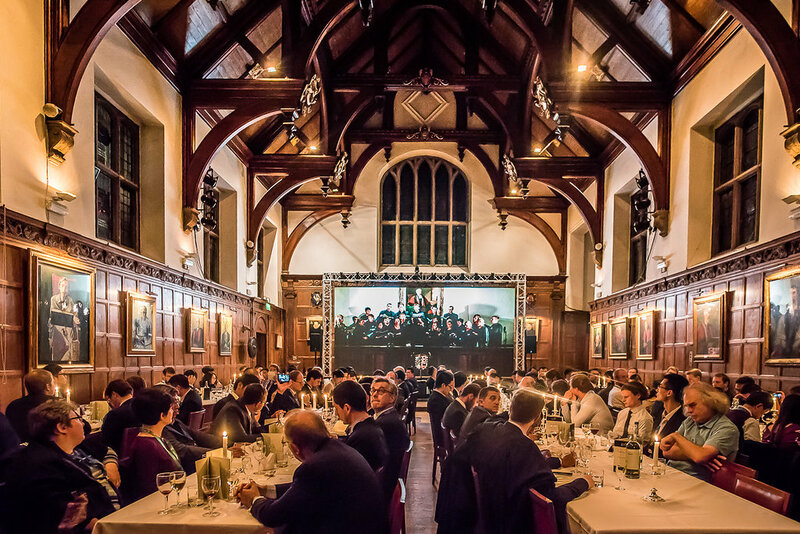 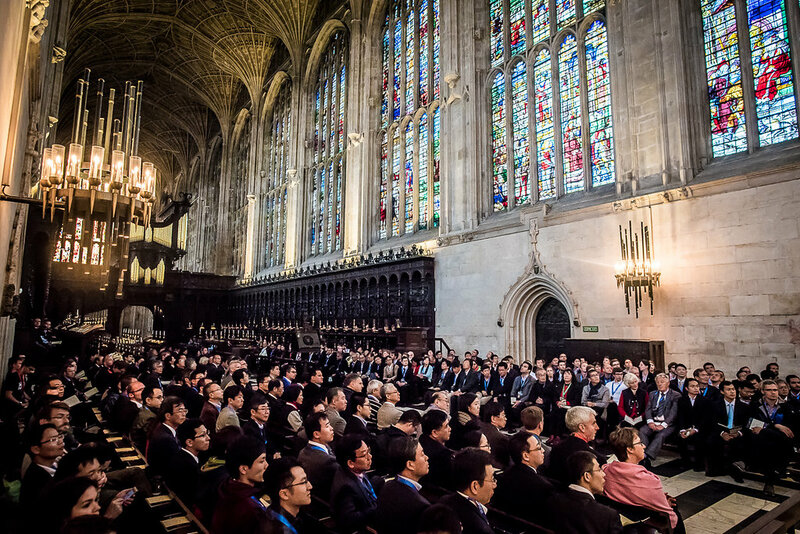 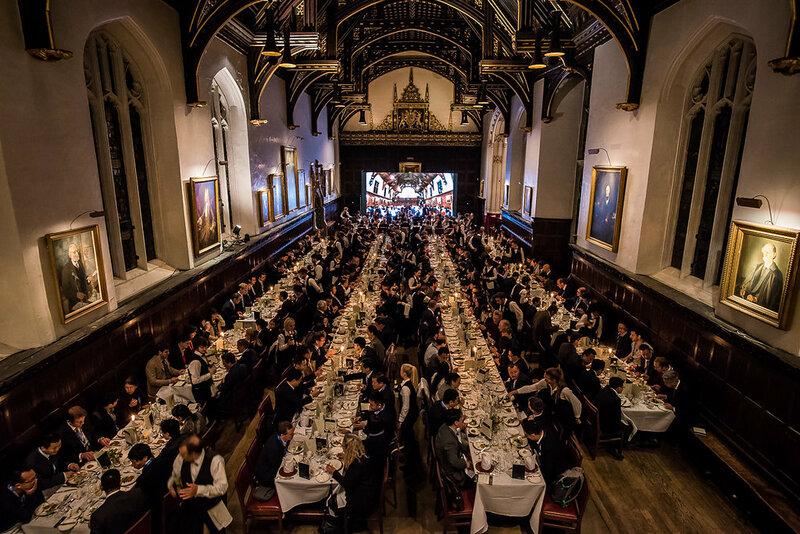 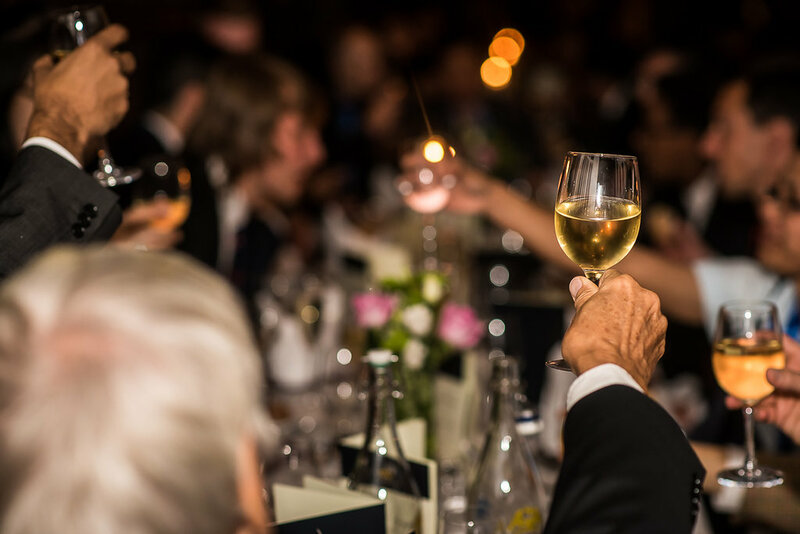 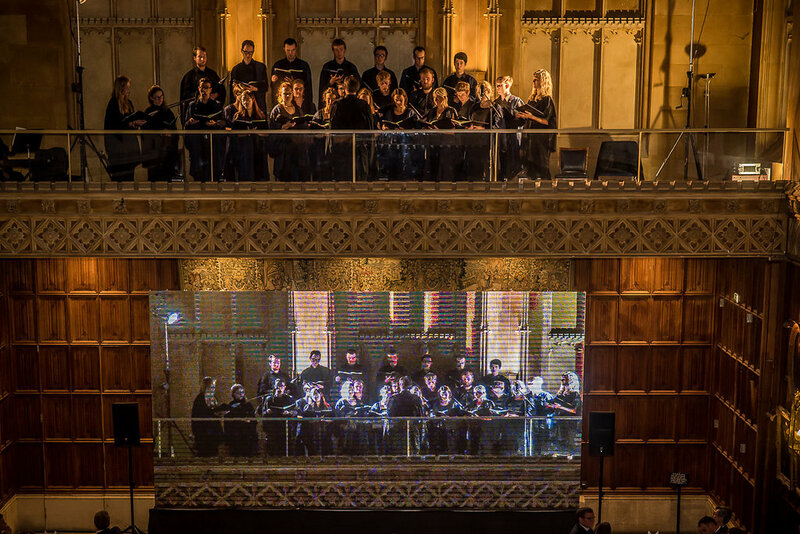 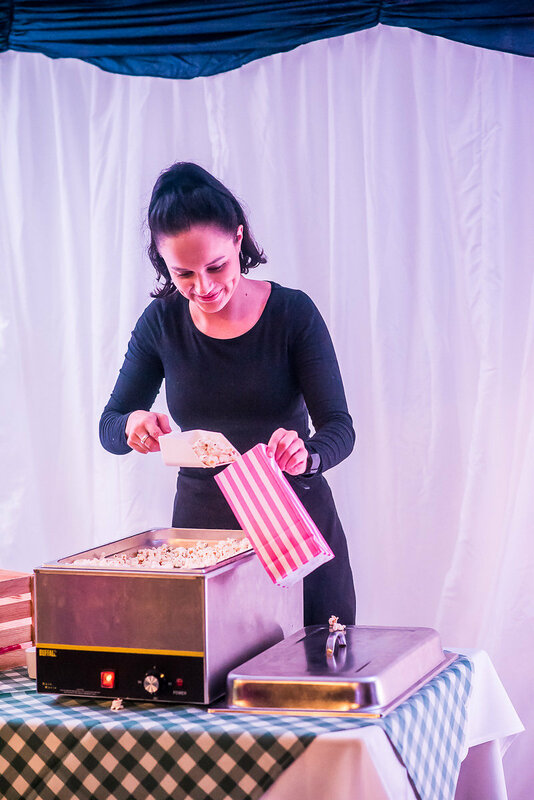 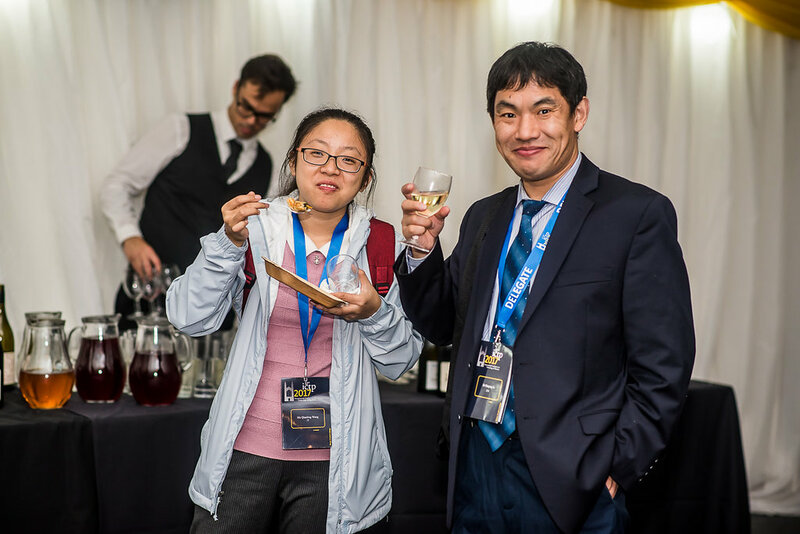 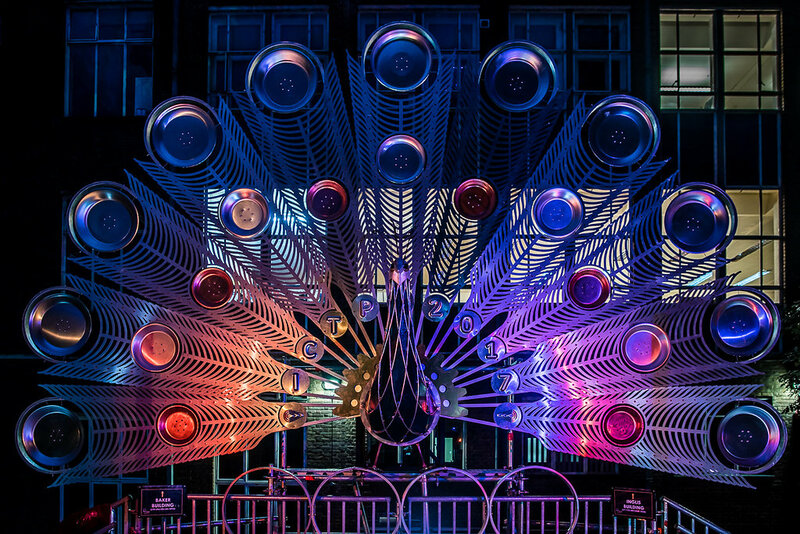 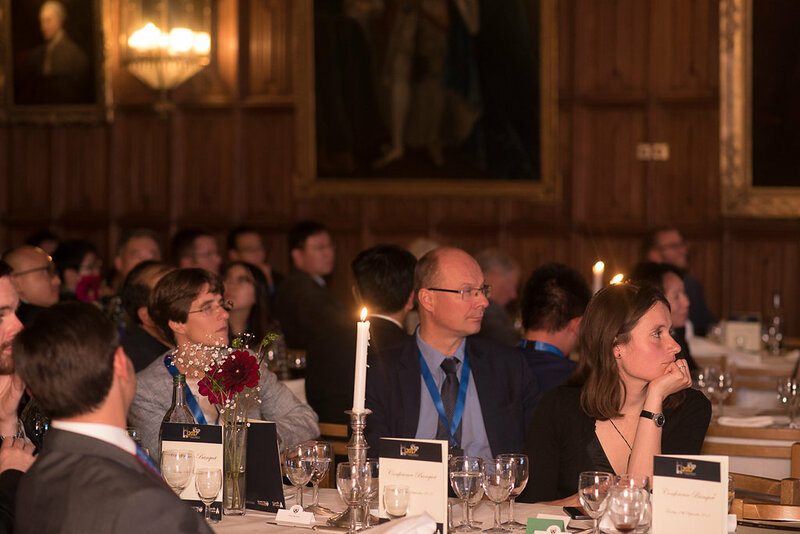 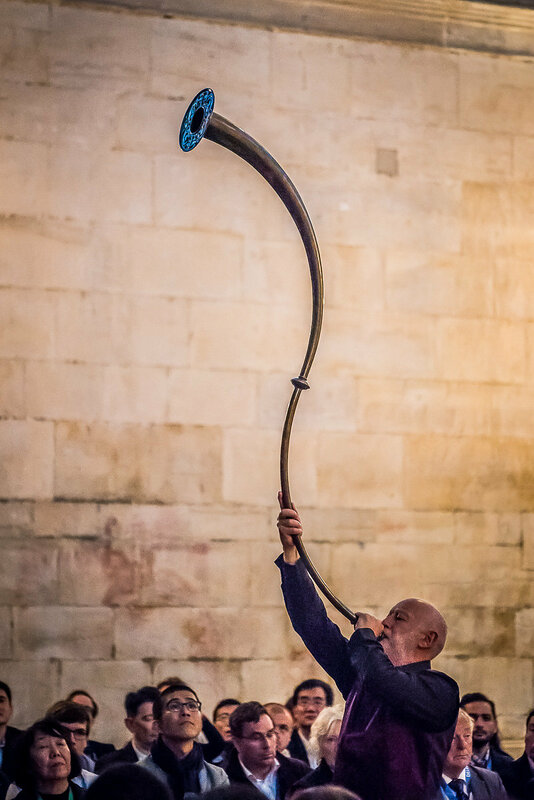 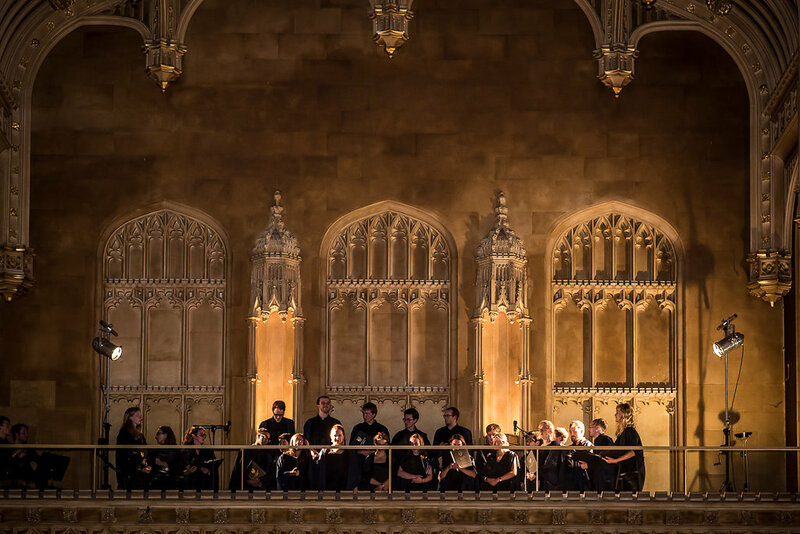 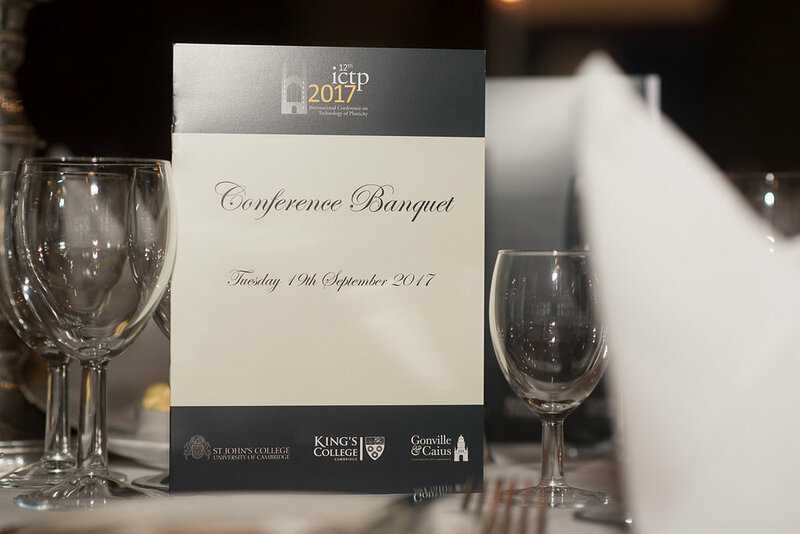 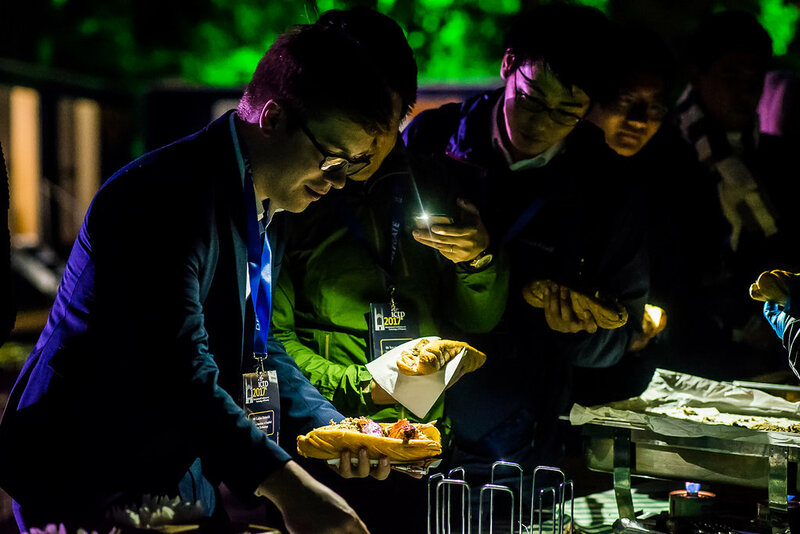 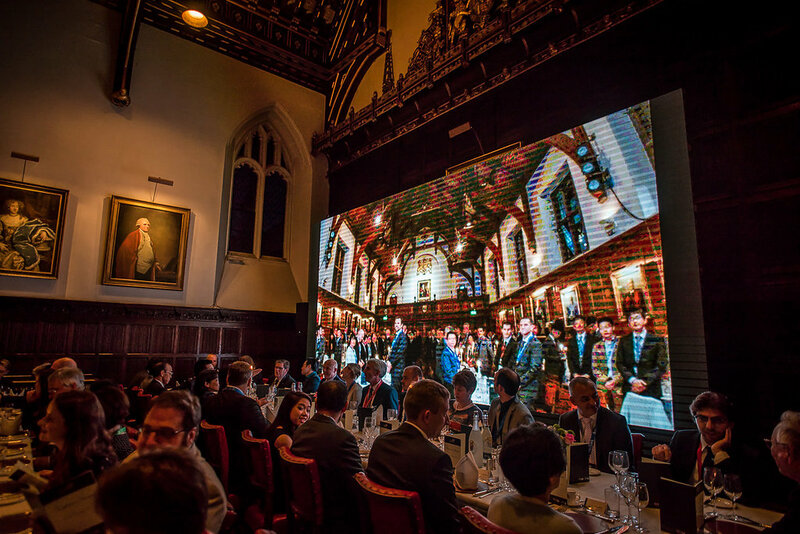 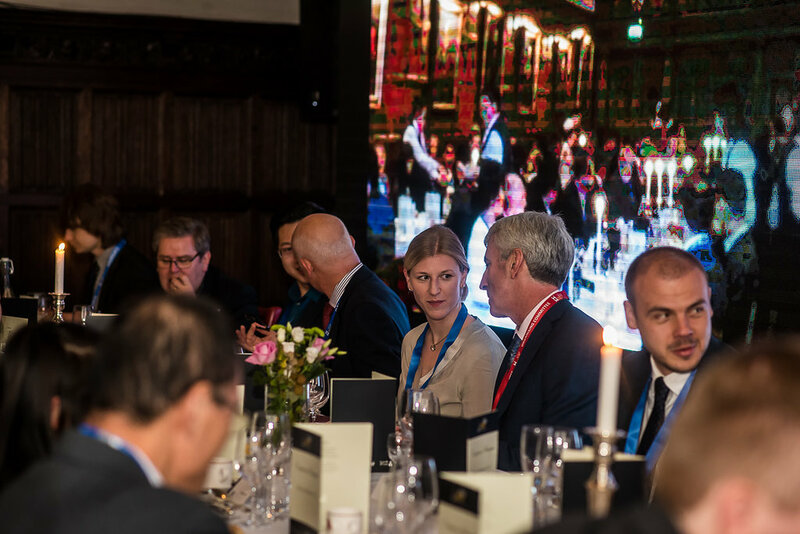 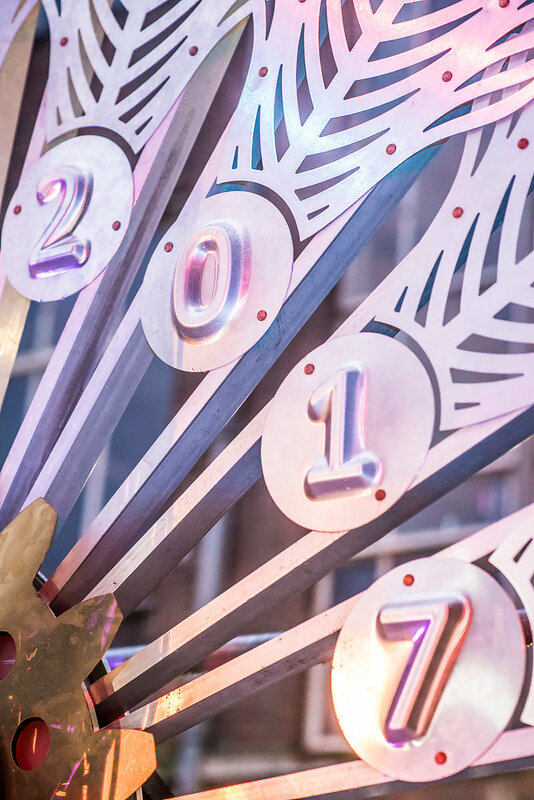 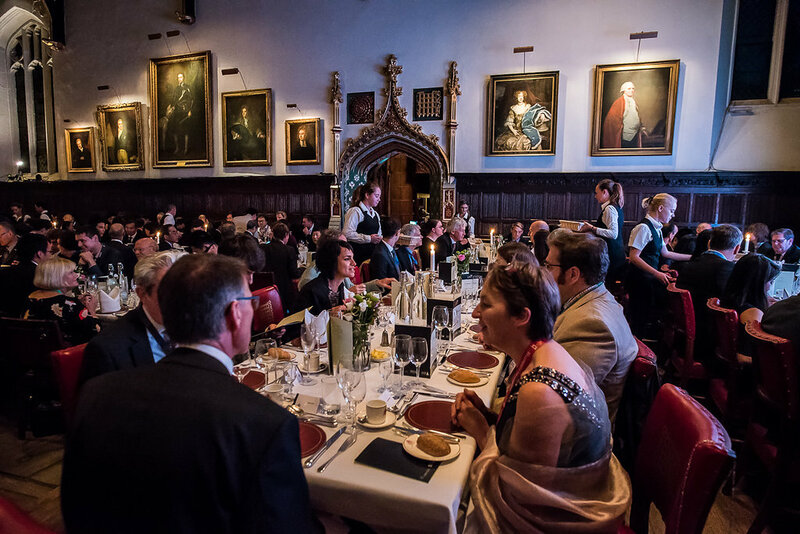 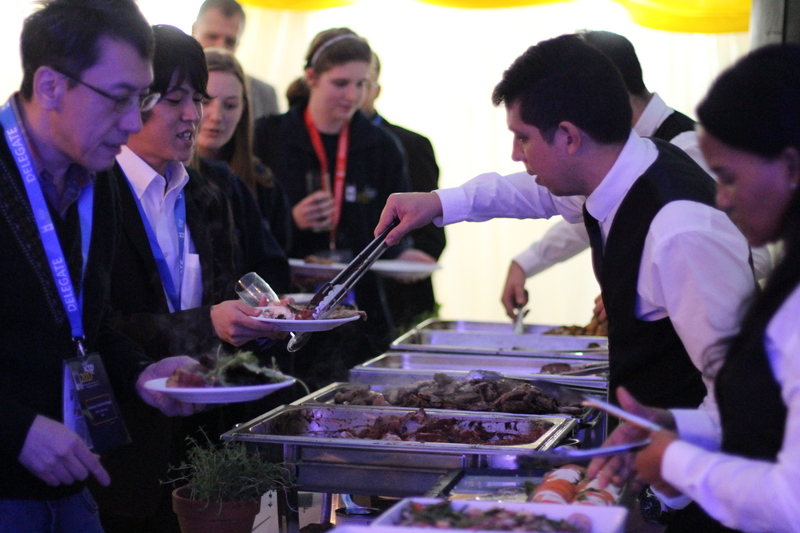 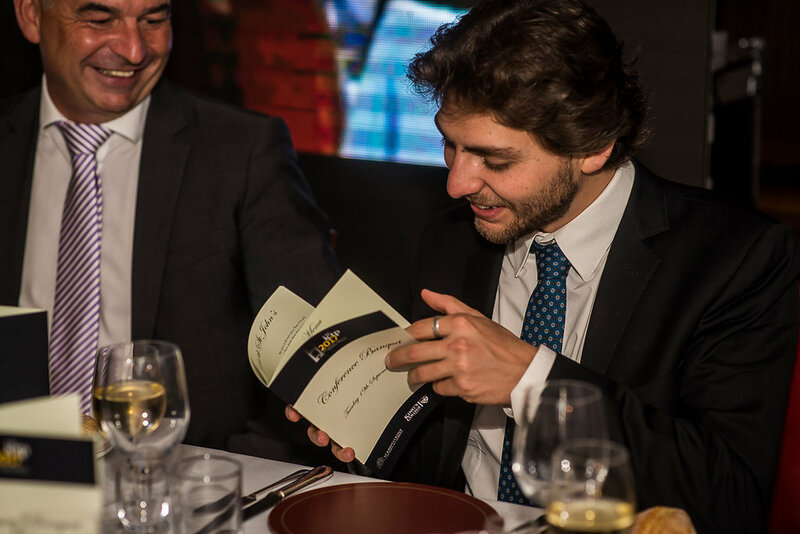 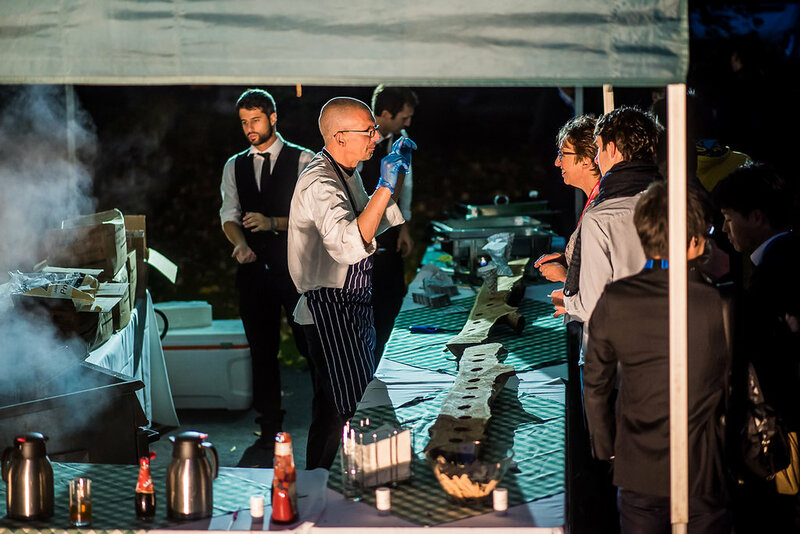 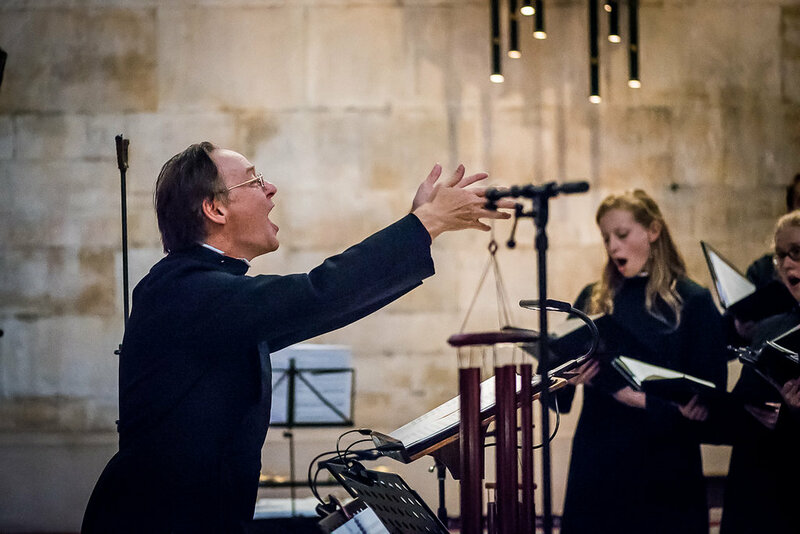 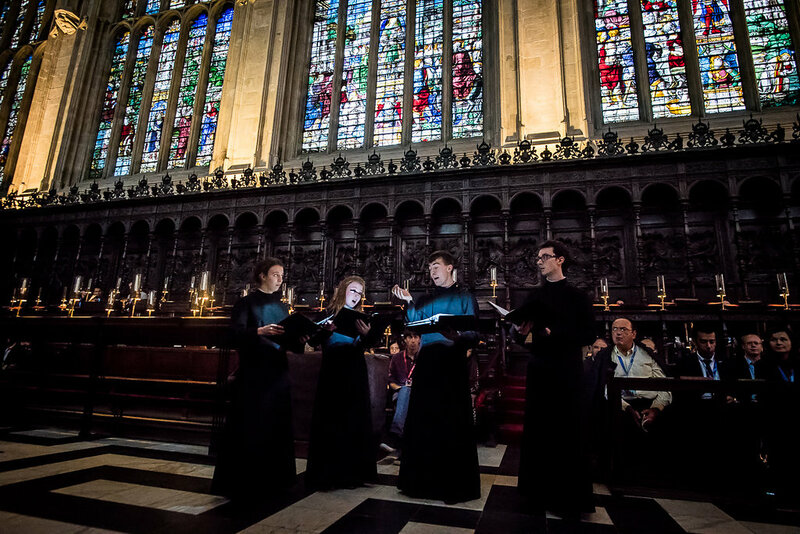 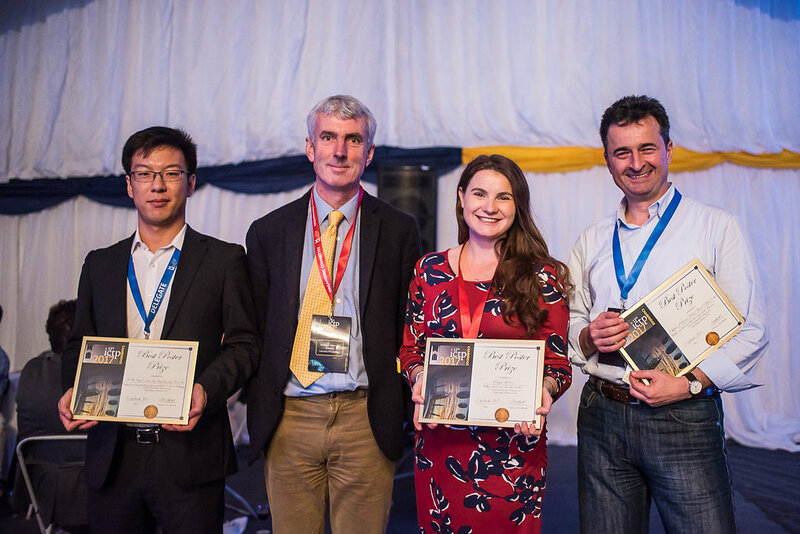 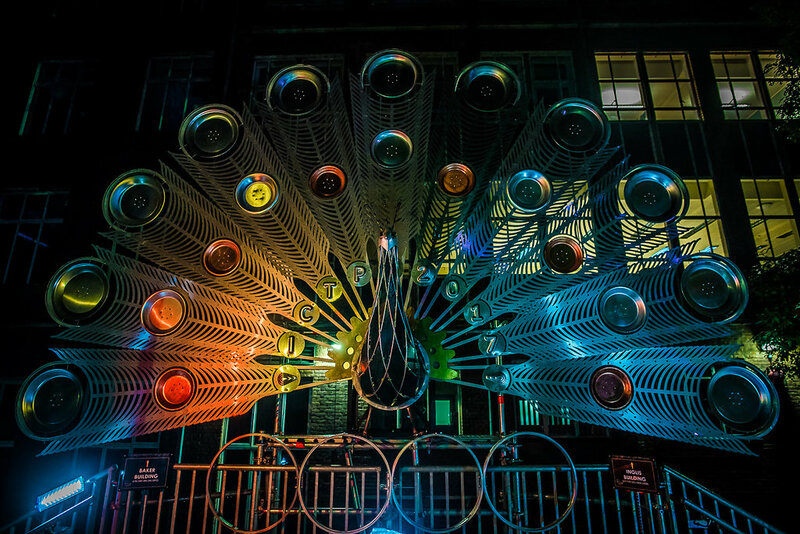 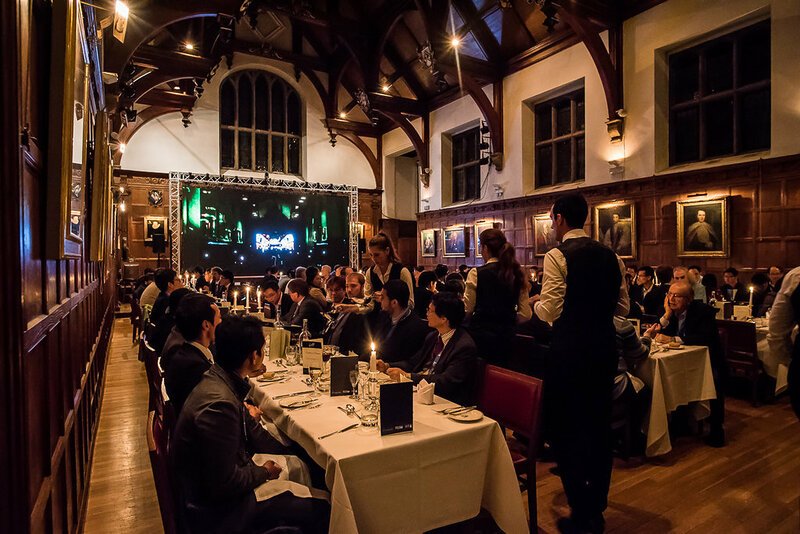 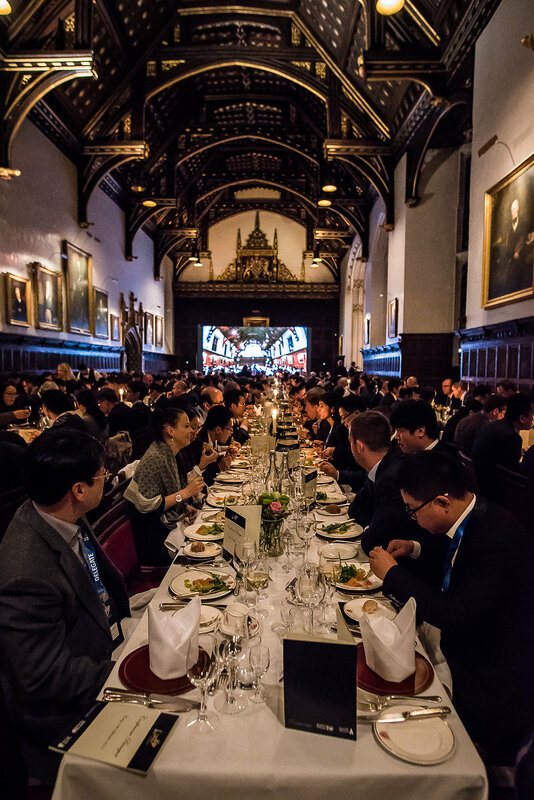 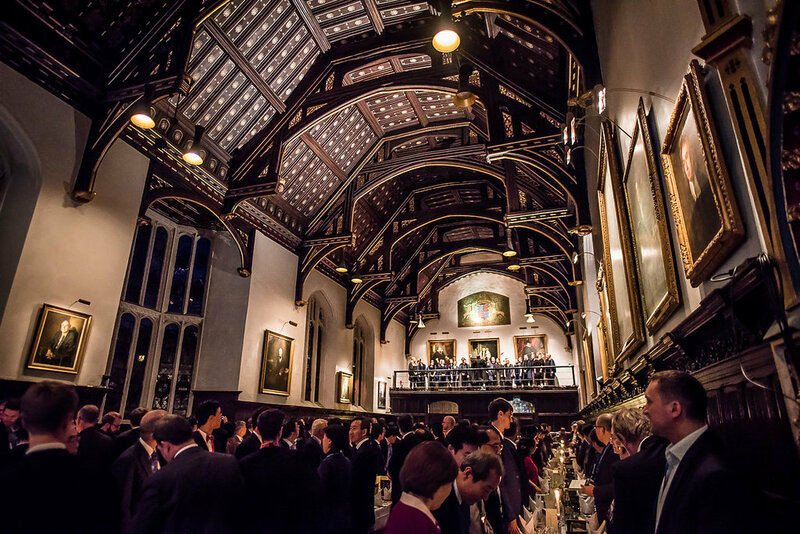 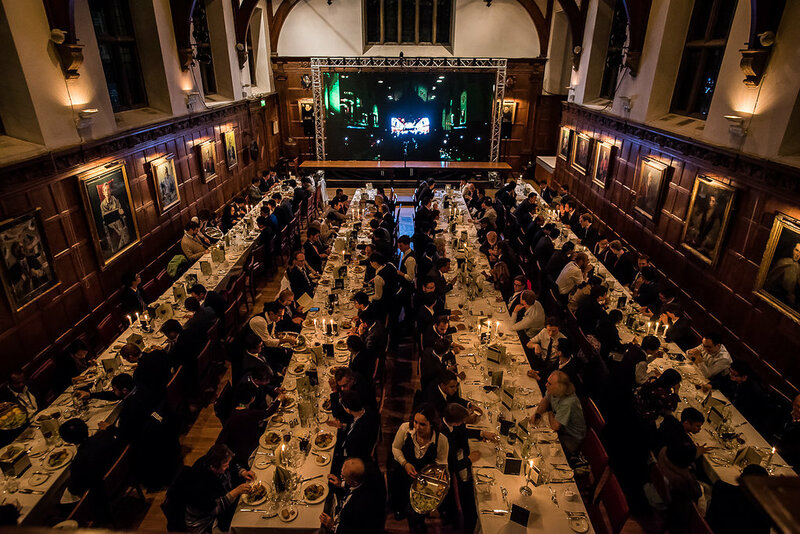 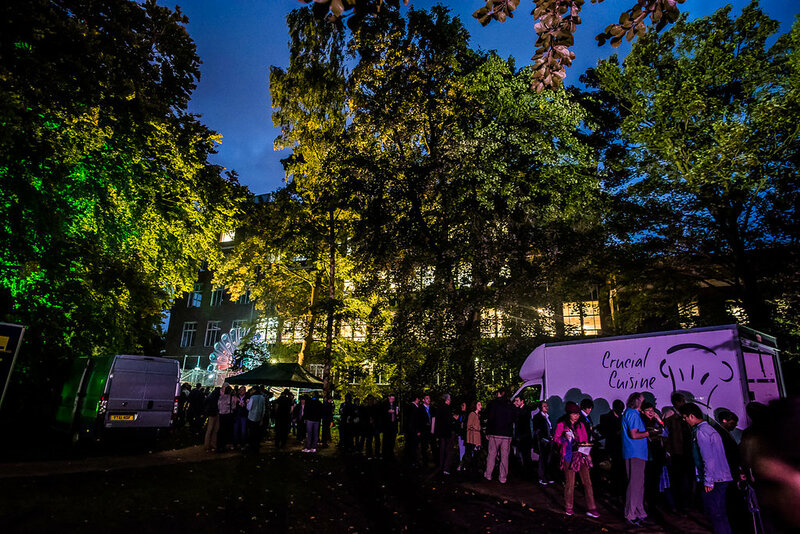 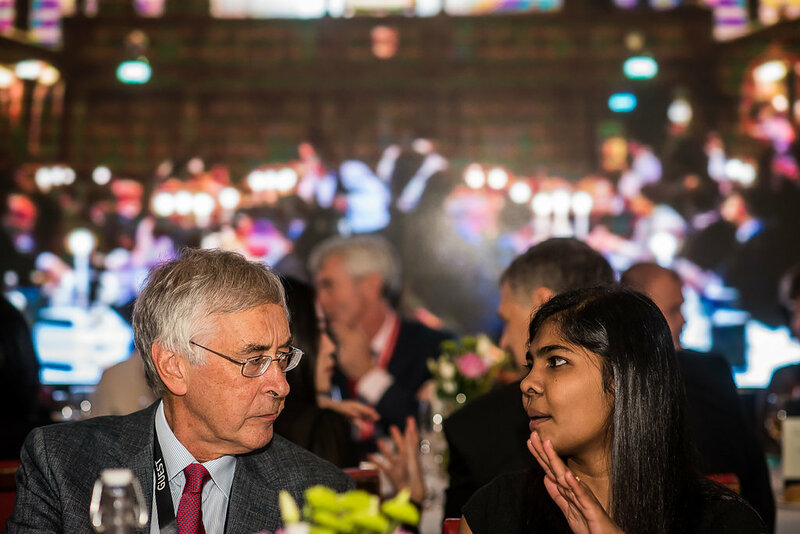 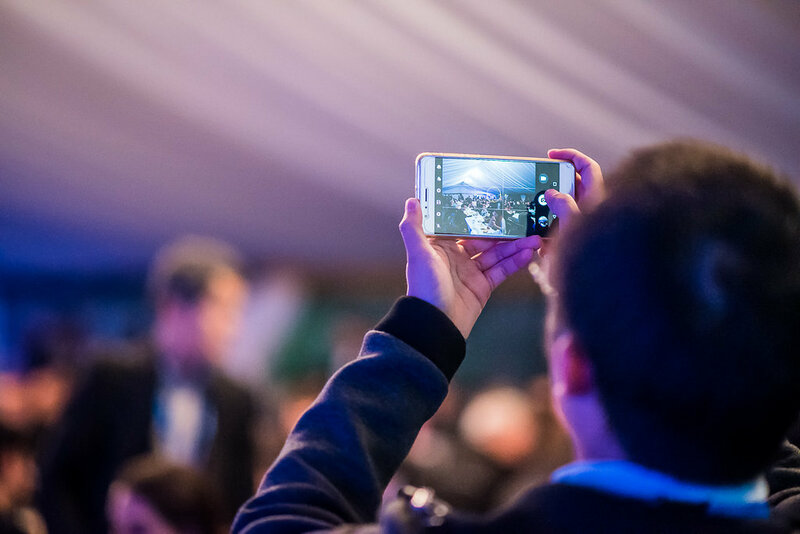 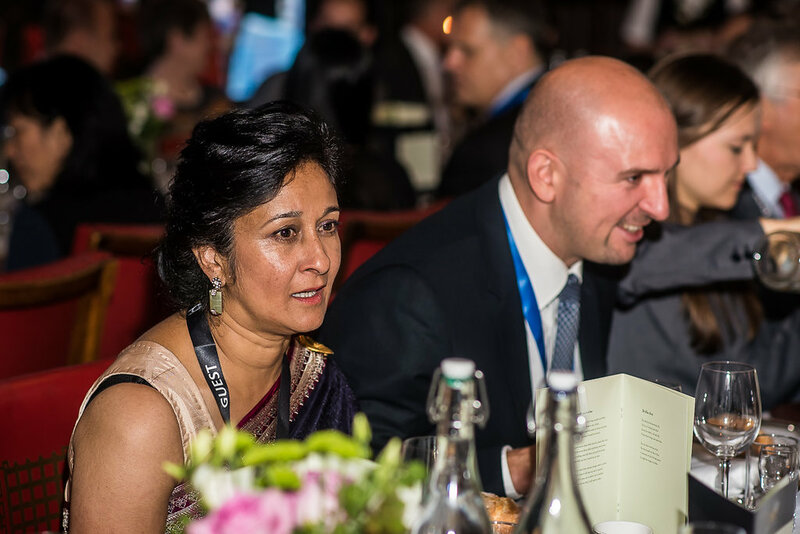 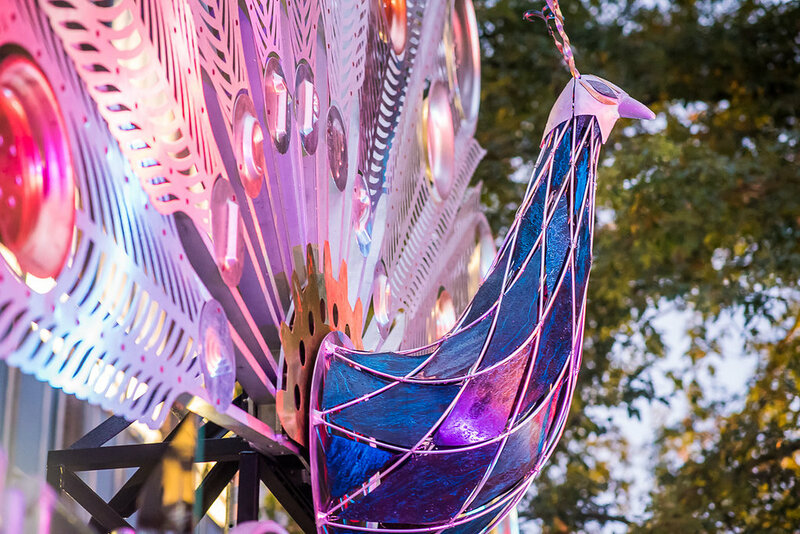 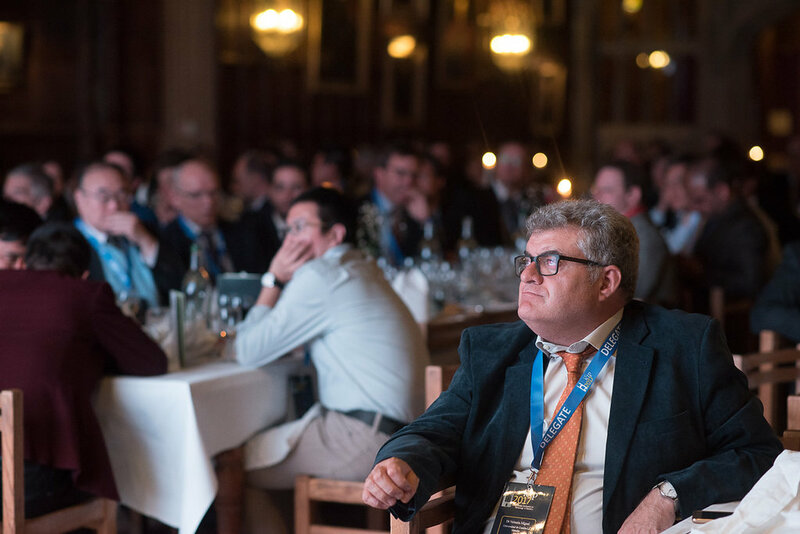 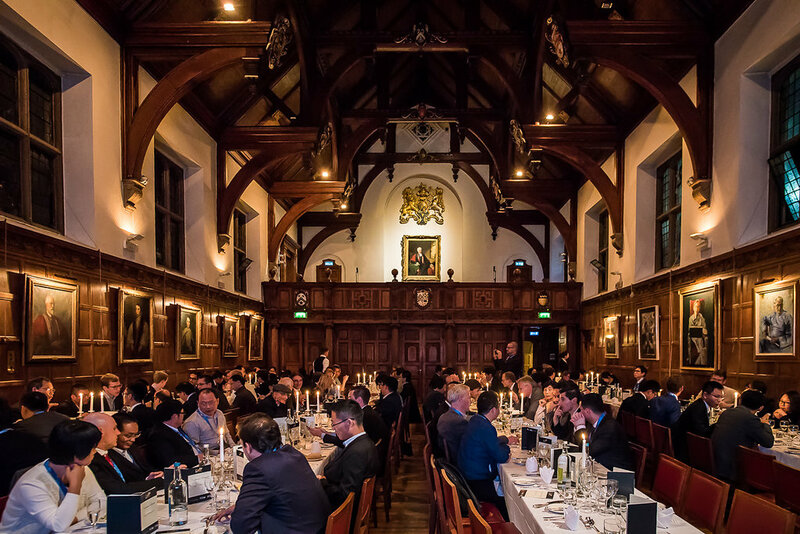 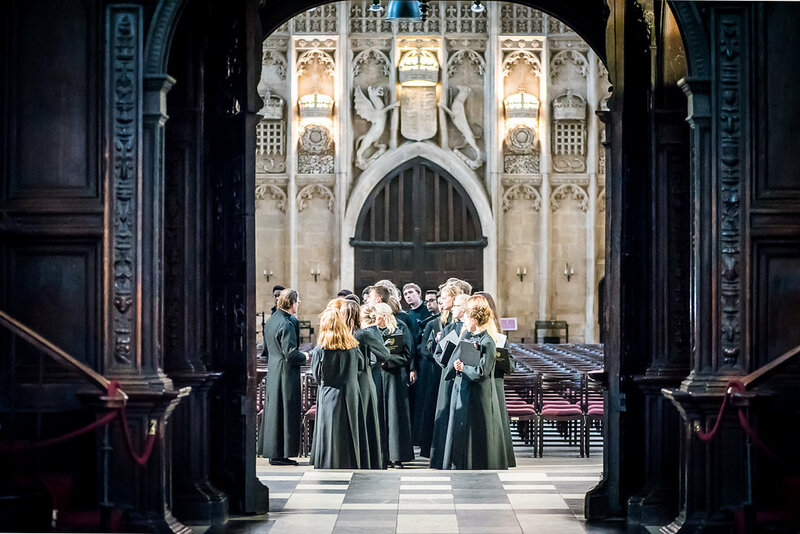 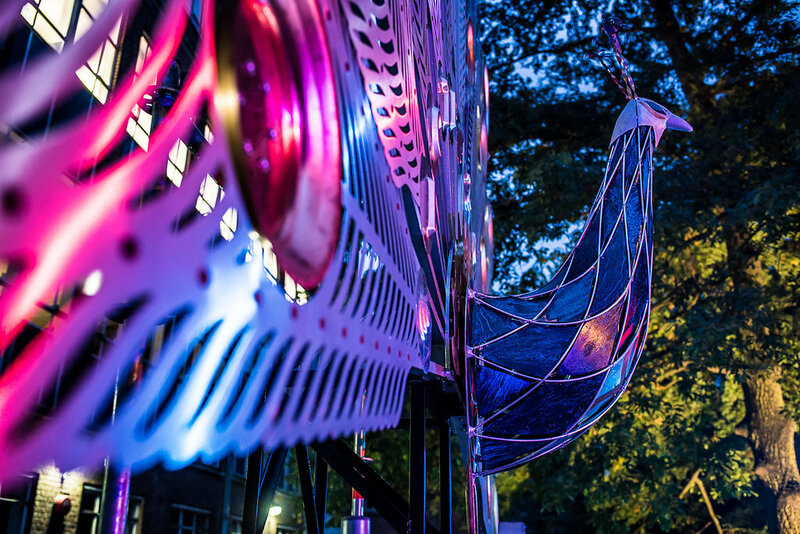 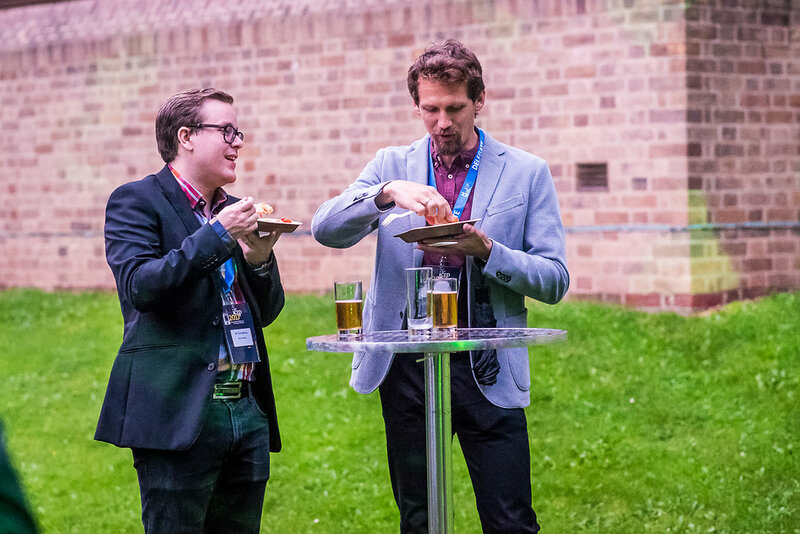 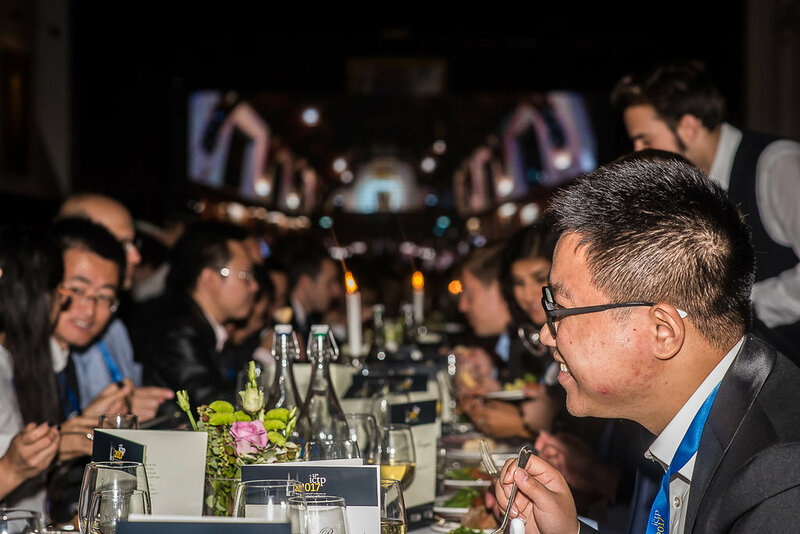 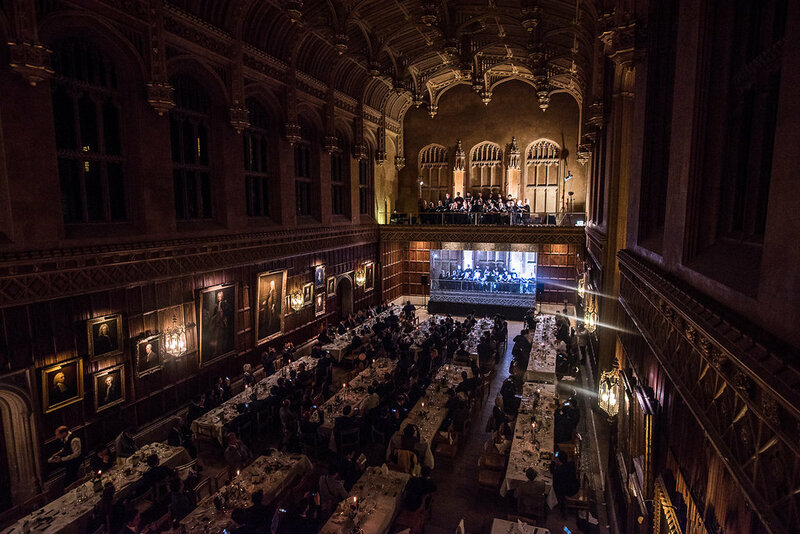 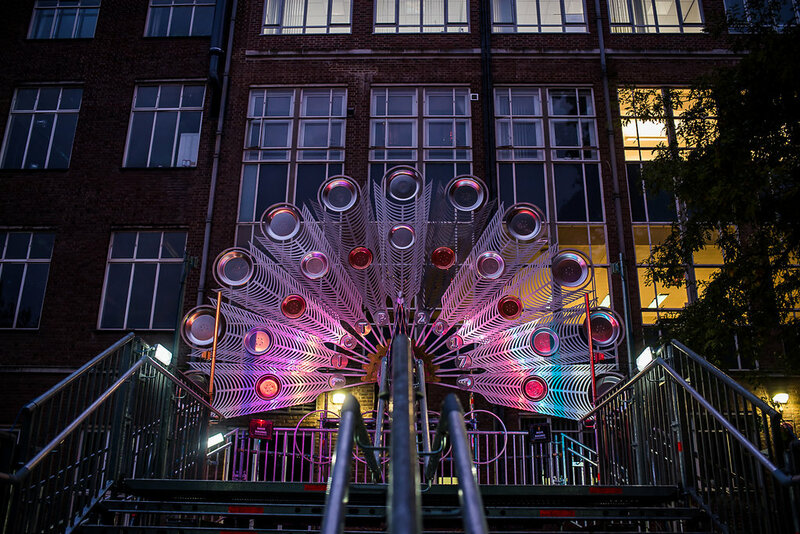 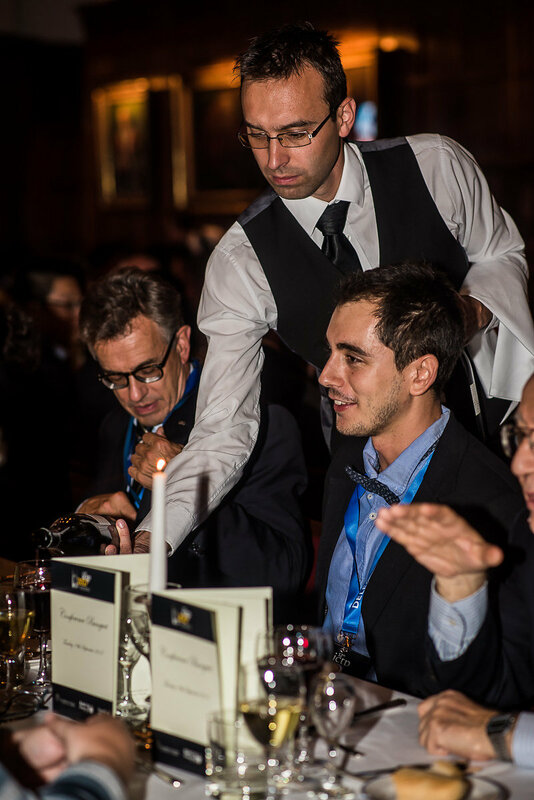 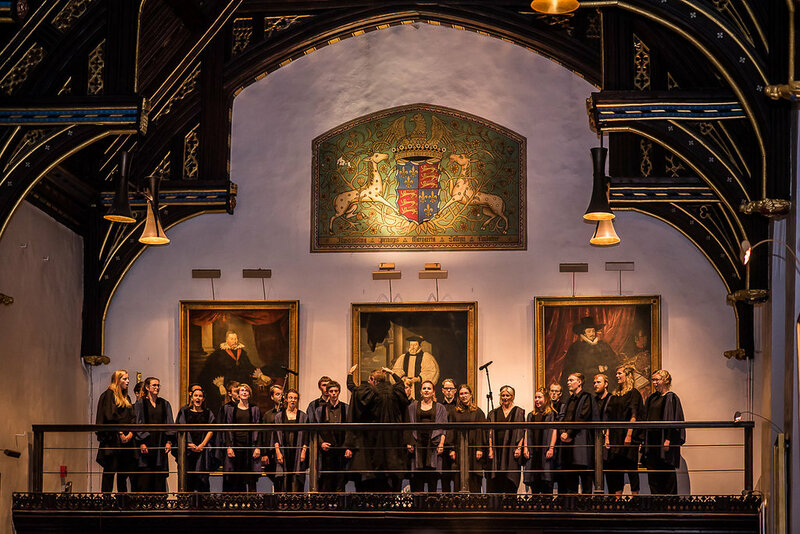 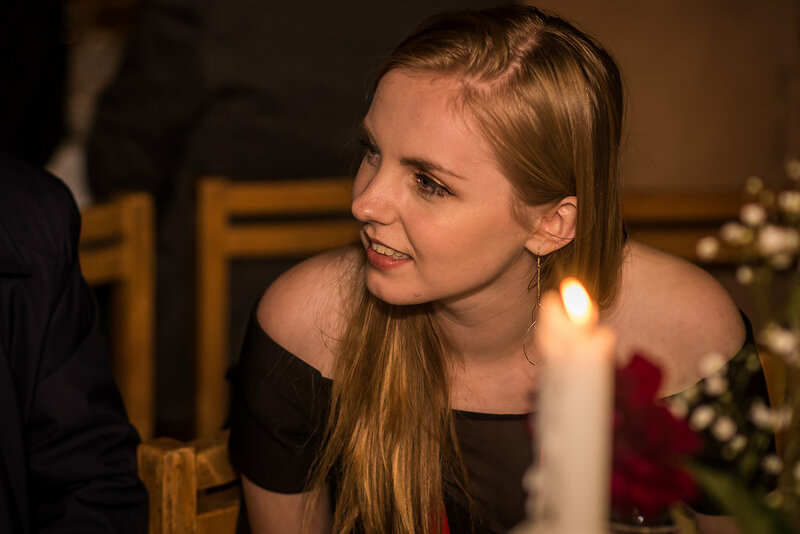 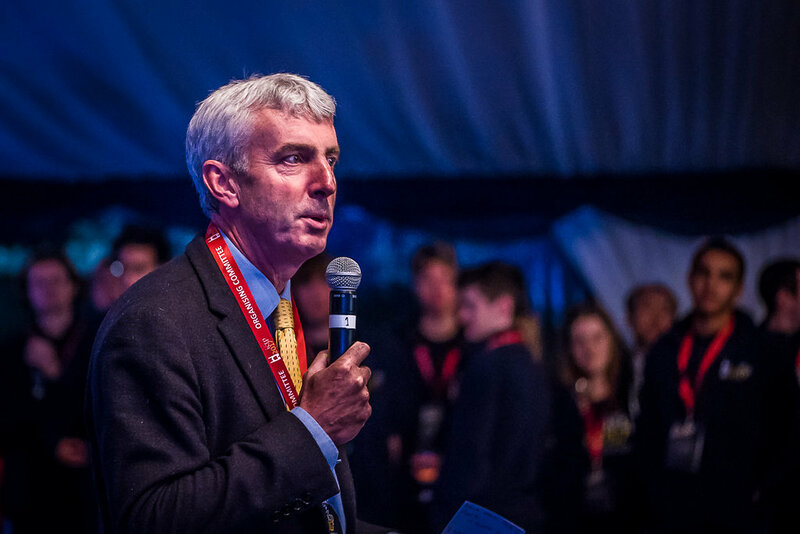 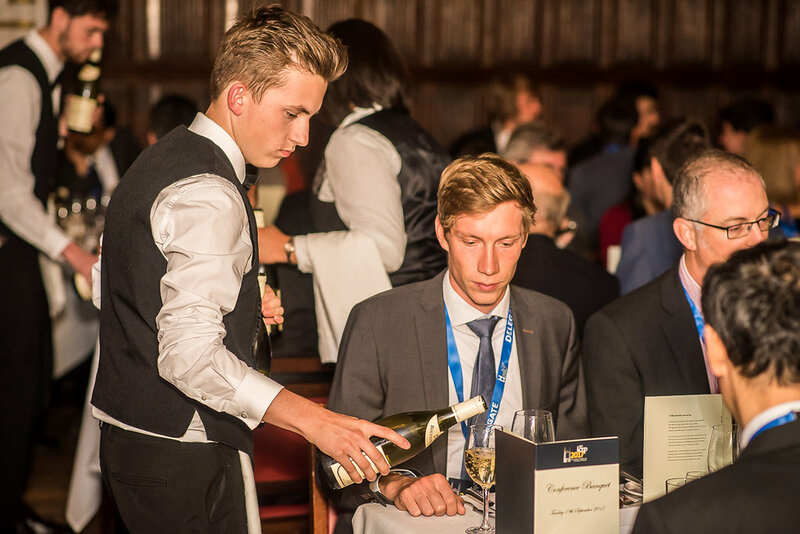 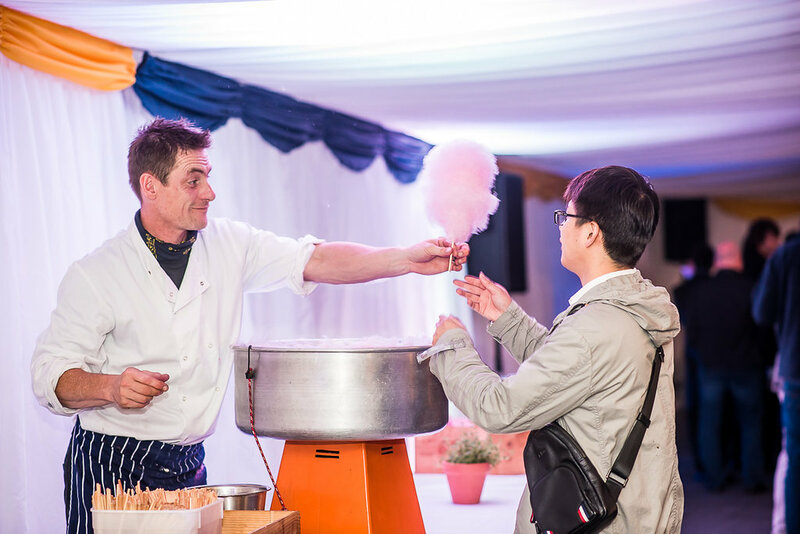 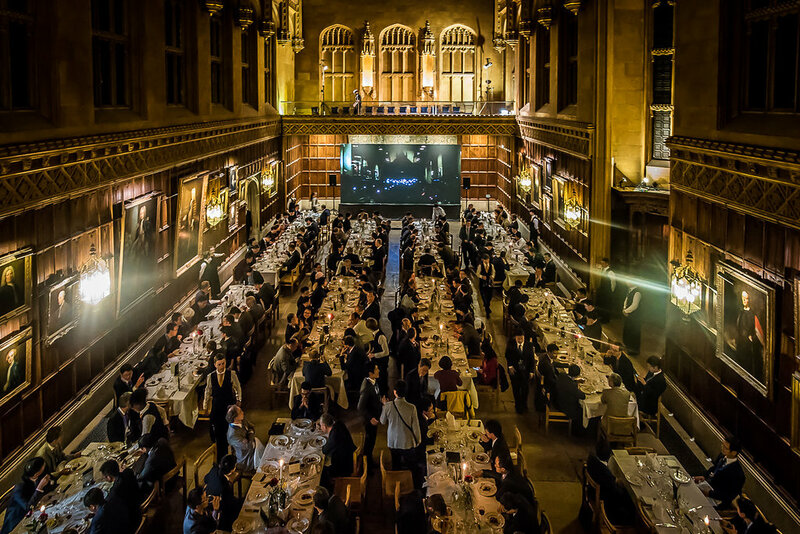 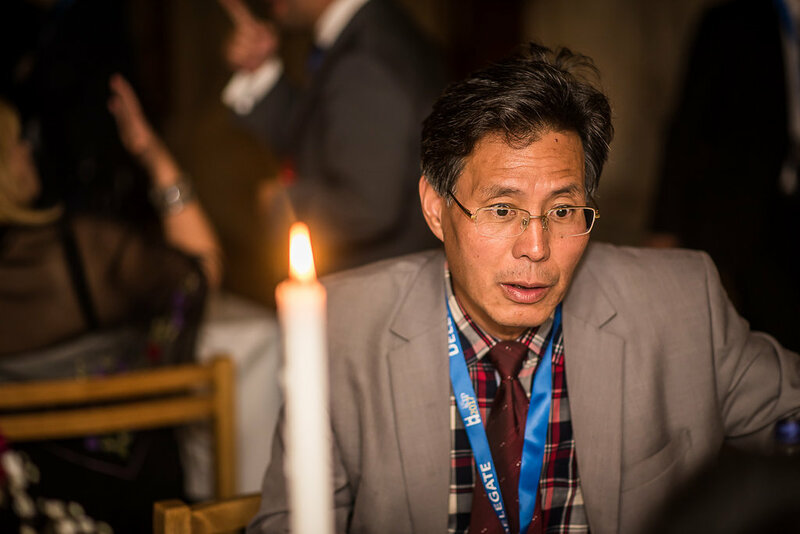 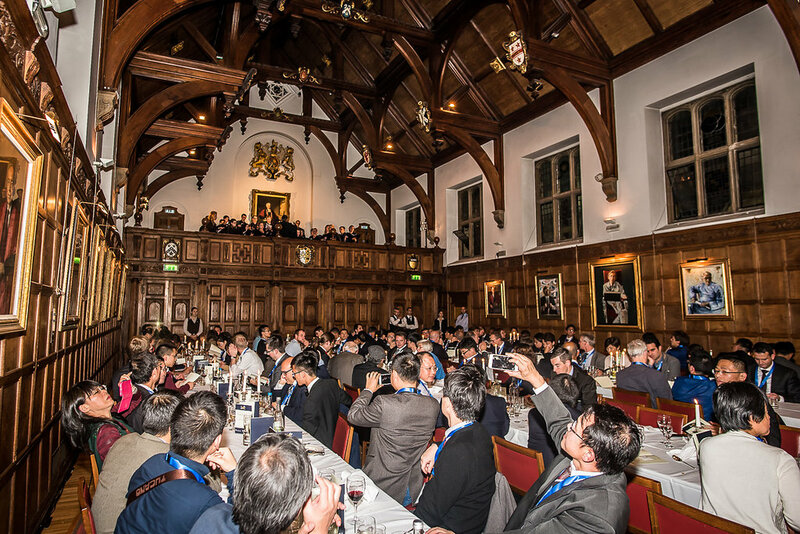 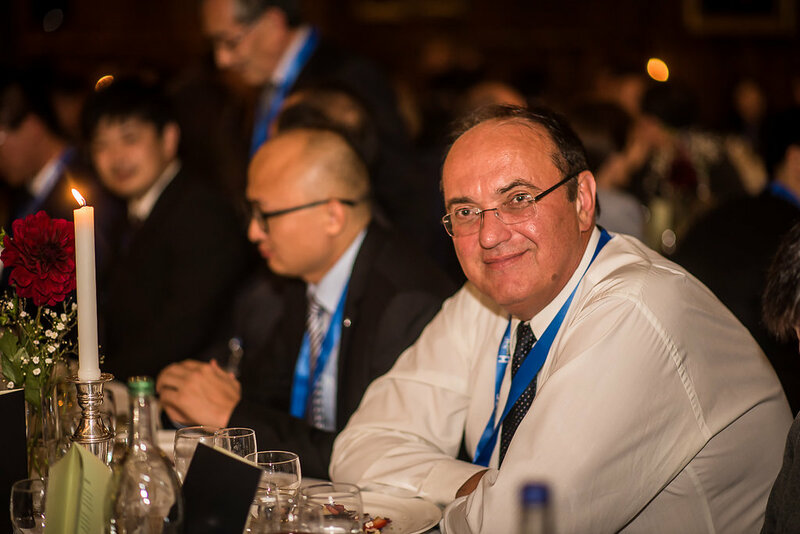 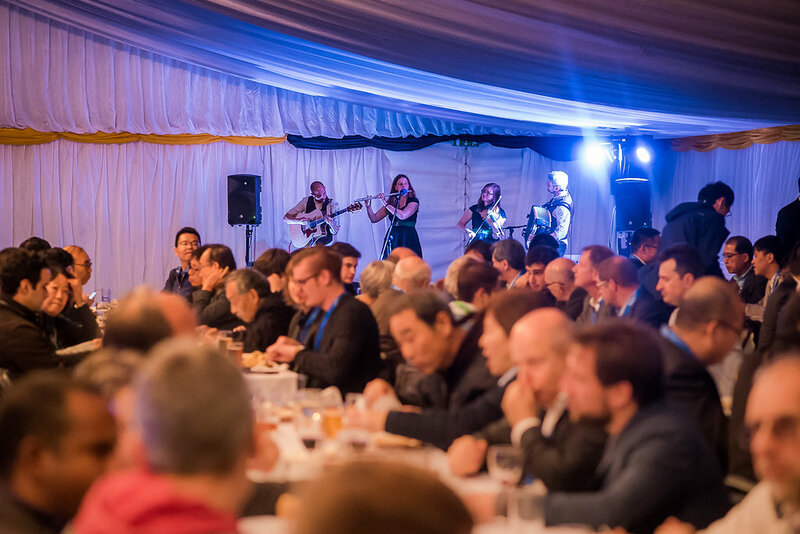 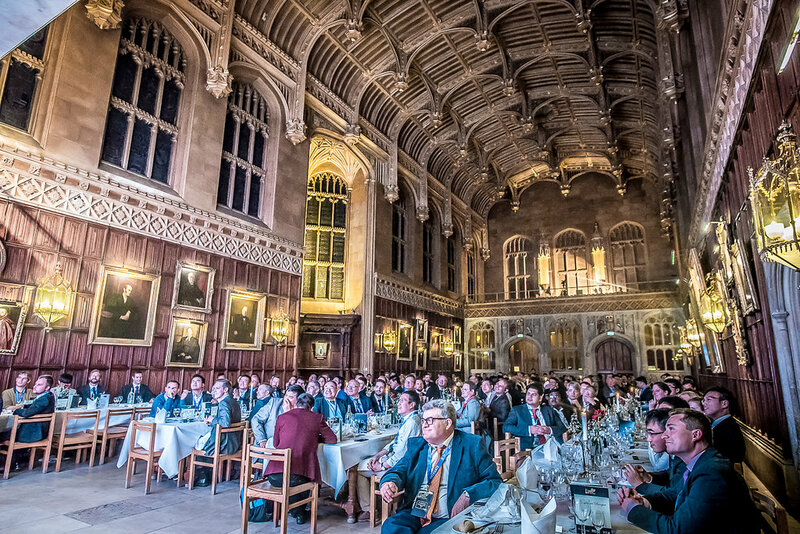 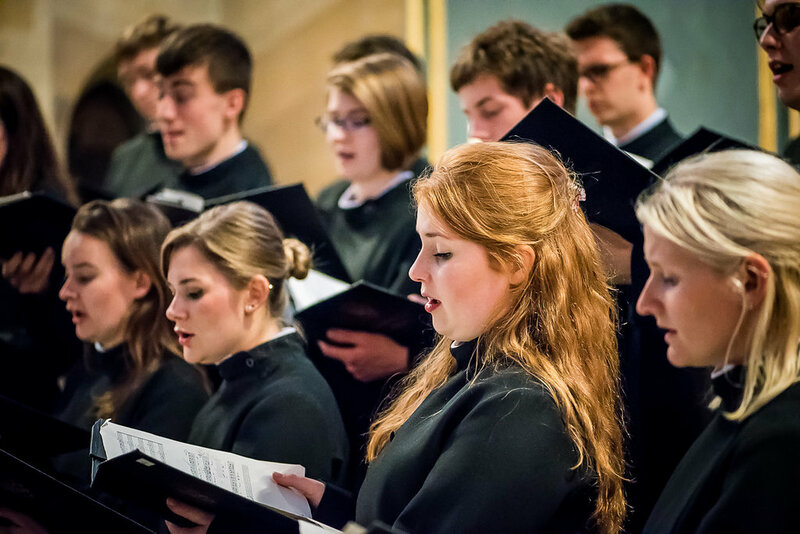 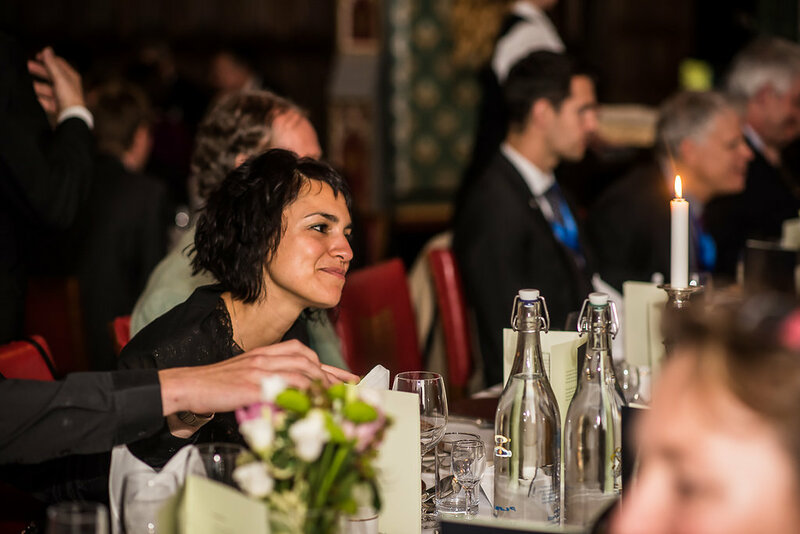 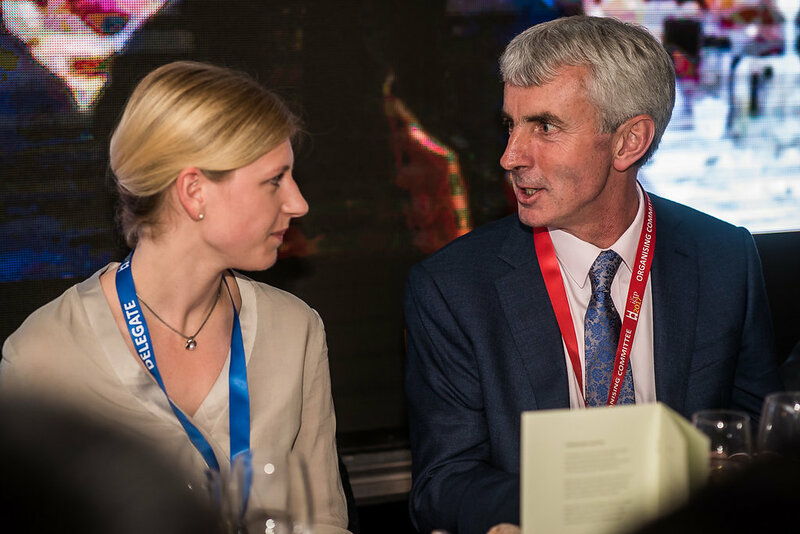 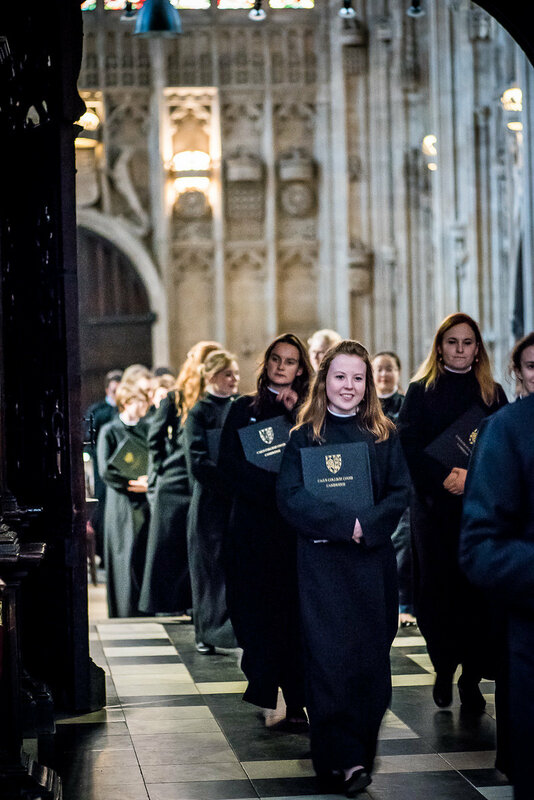 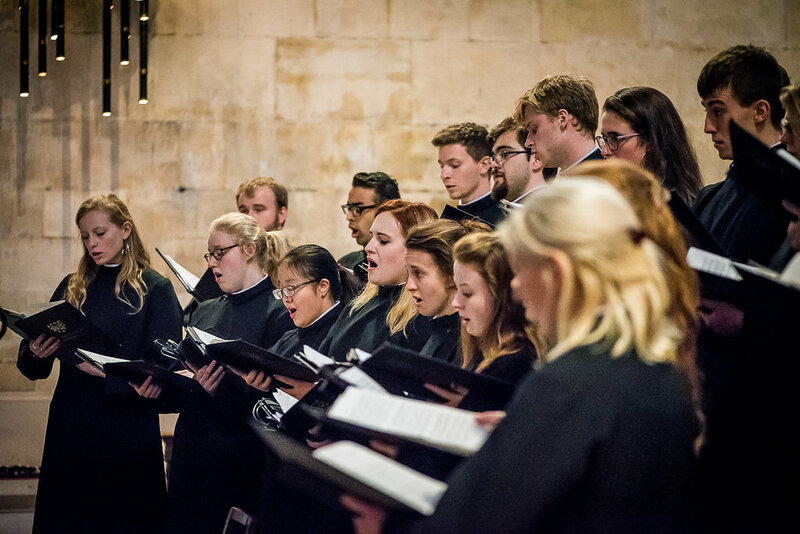 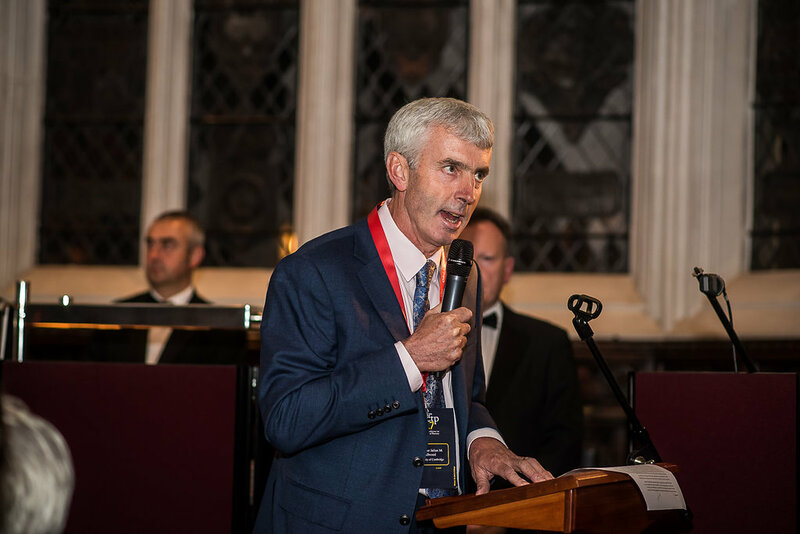 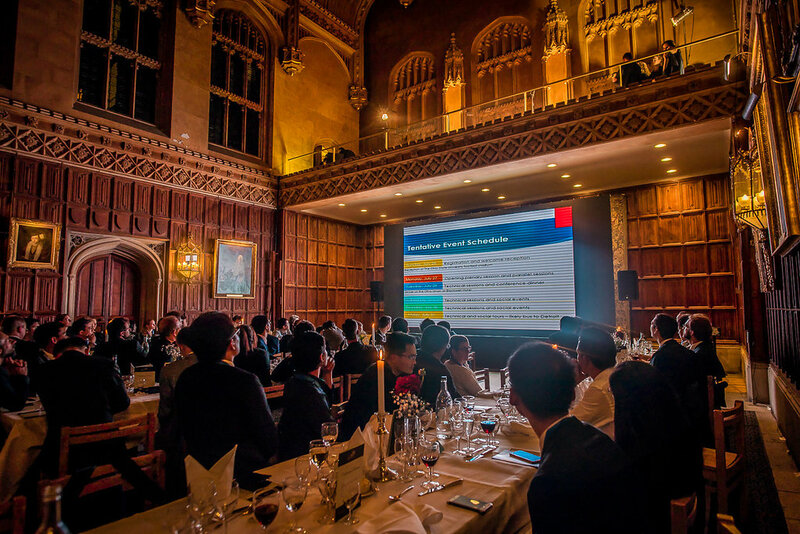 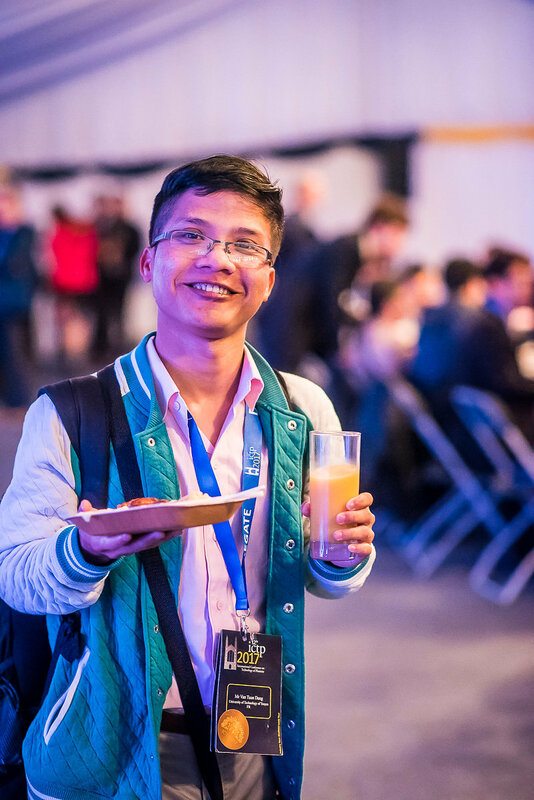 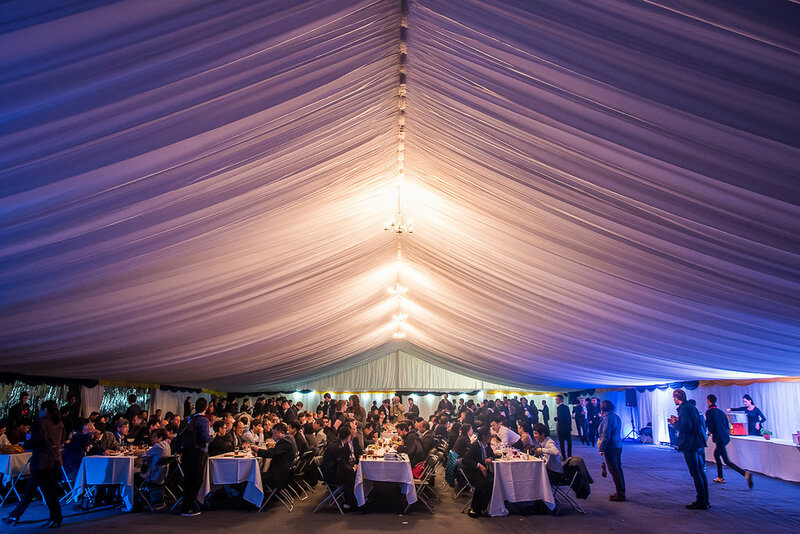 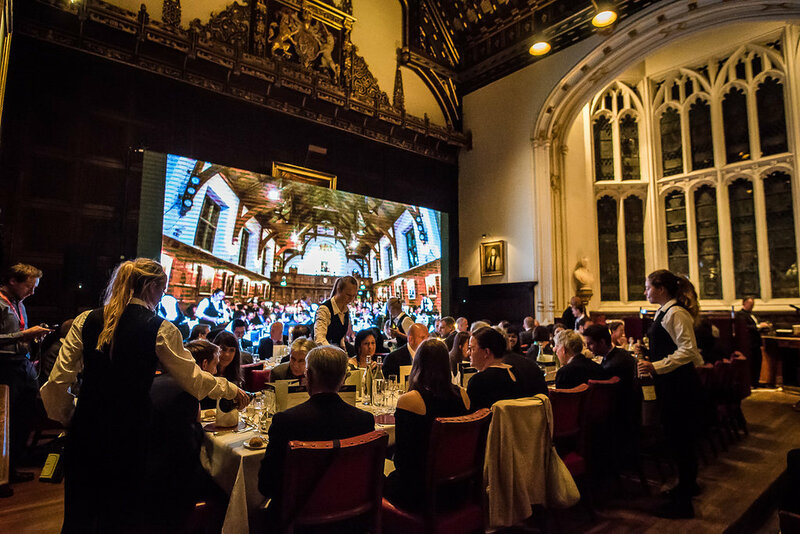 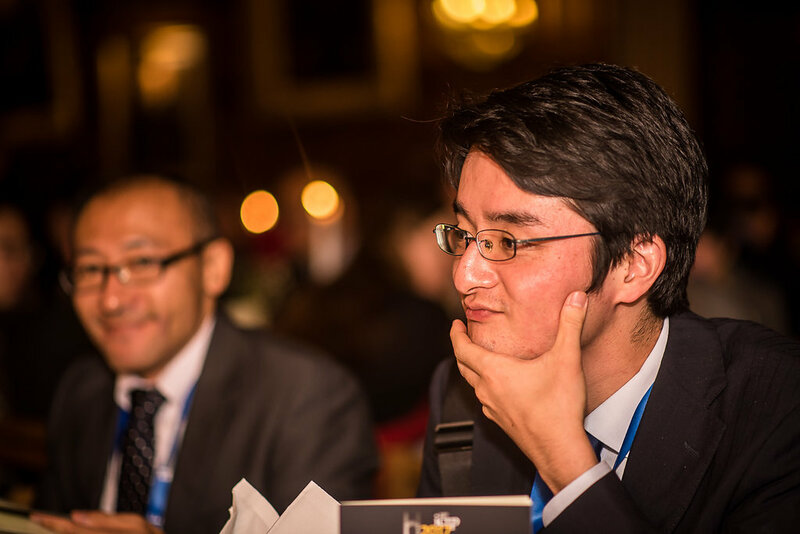 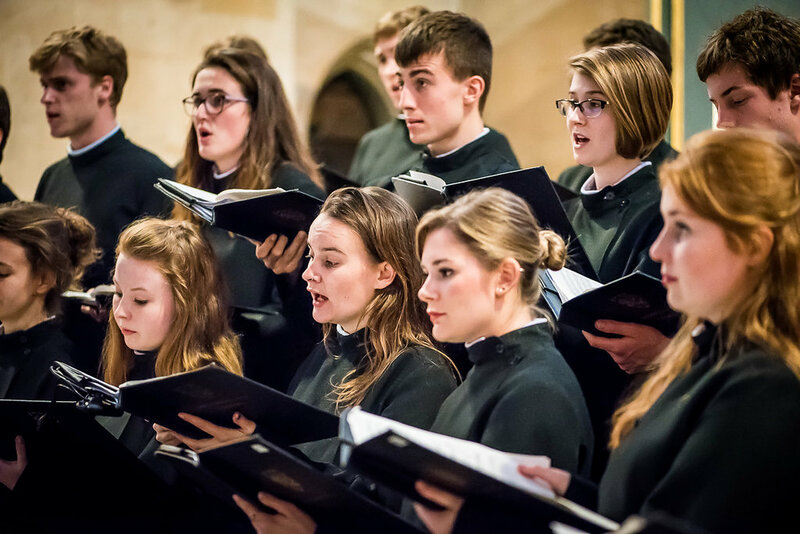 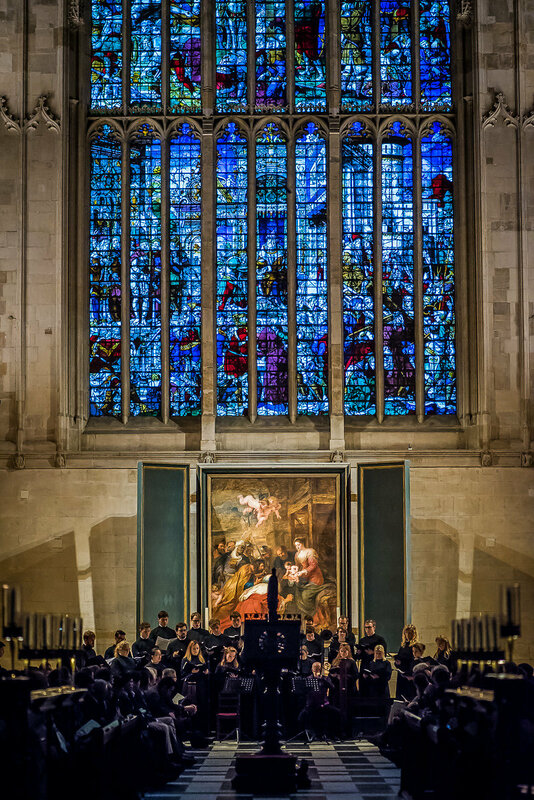 The spectacular conference dinner was held across three of Cambridge's most beautiful college dining halls, connected by large AV screens and with the Gonville and Caius Choir moving between the halls to perform. 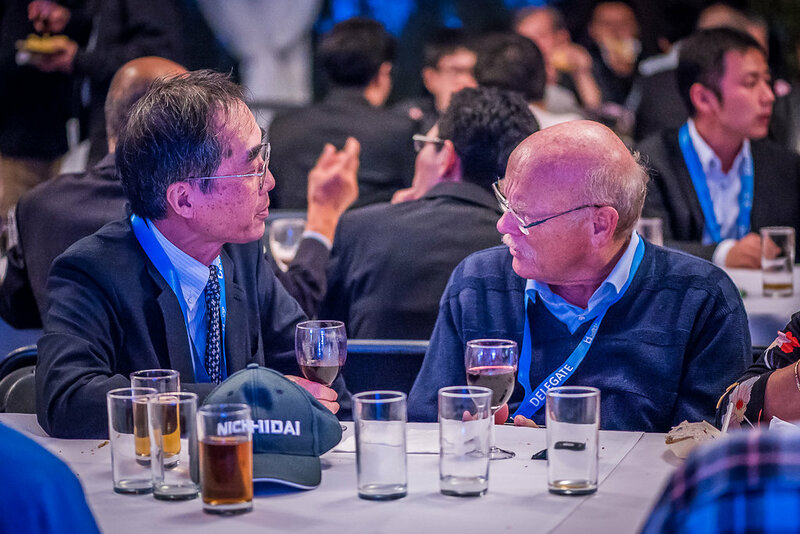 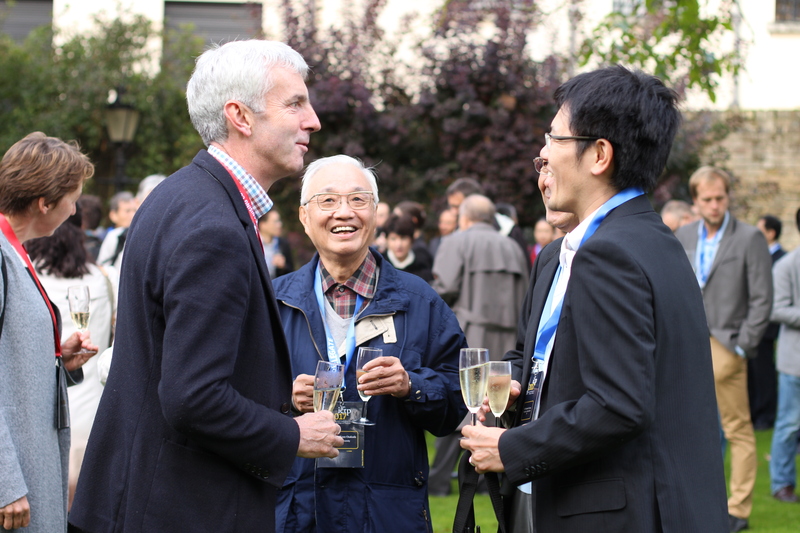 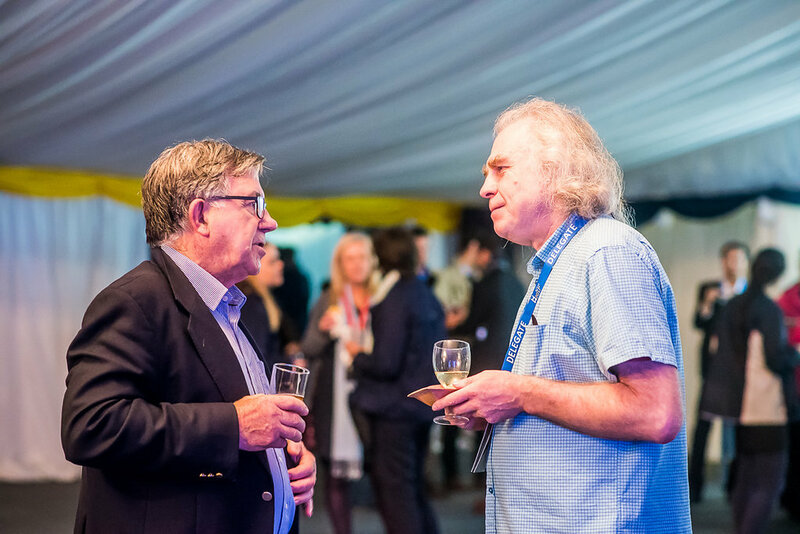 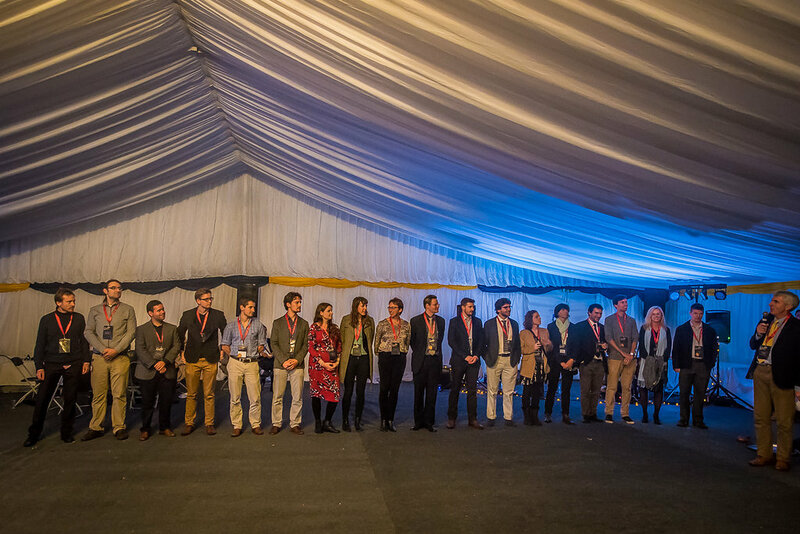 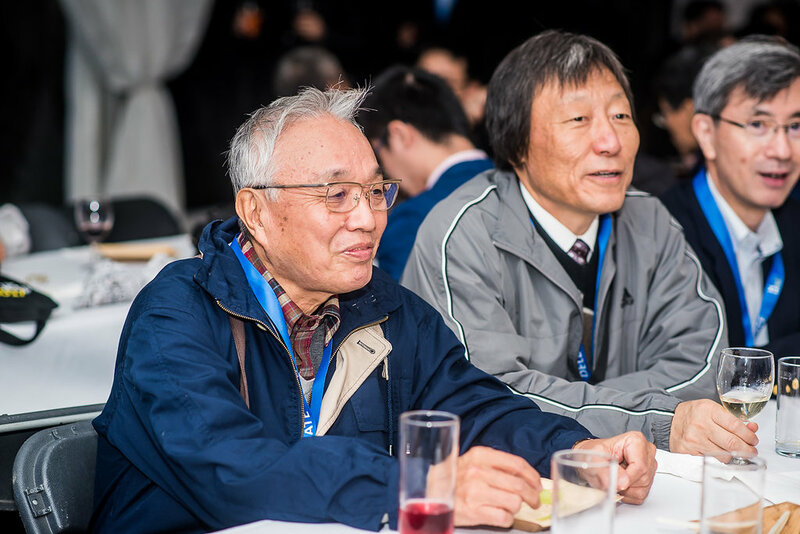 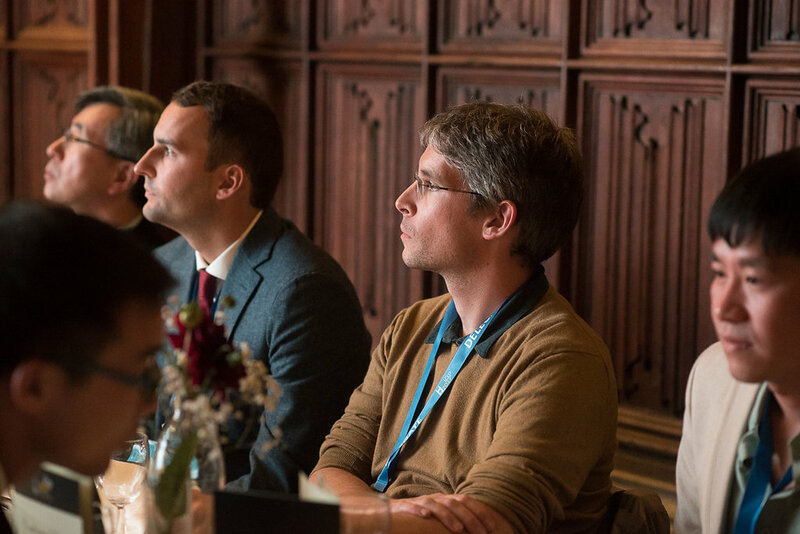 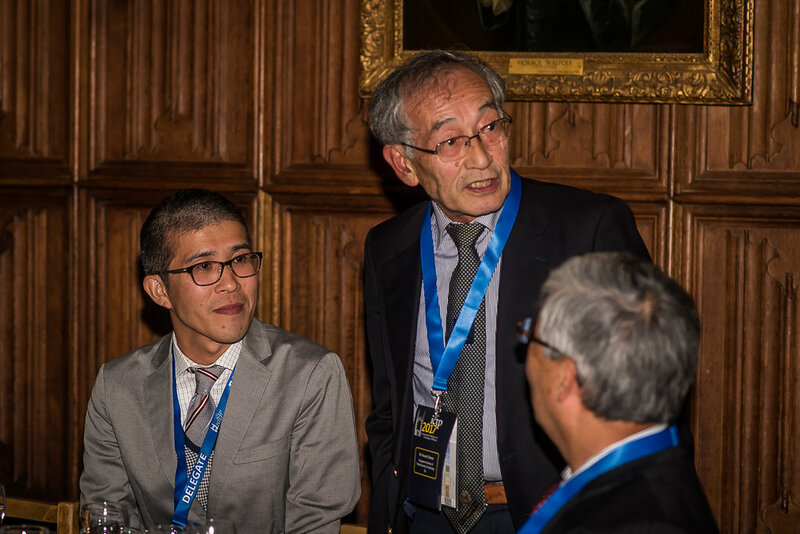 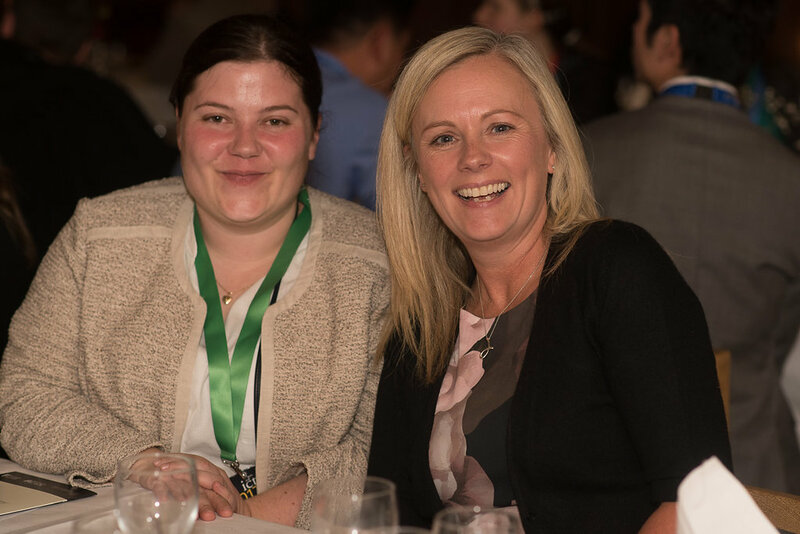 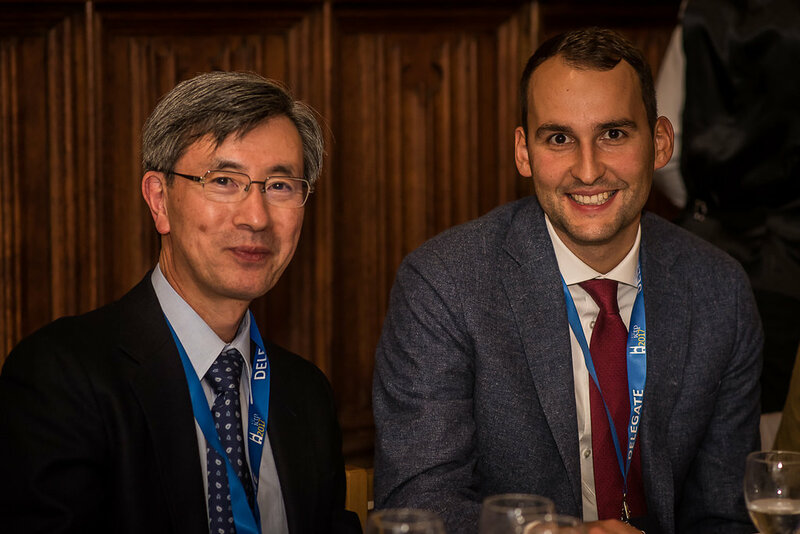 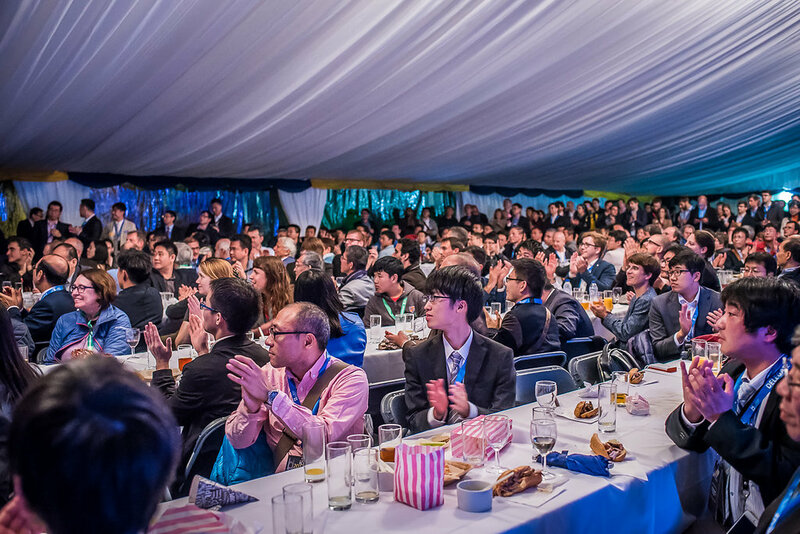 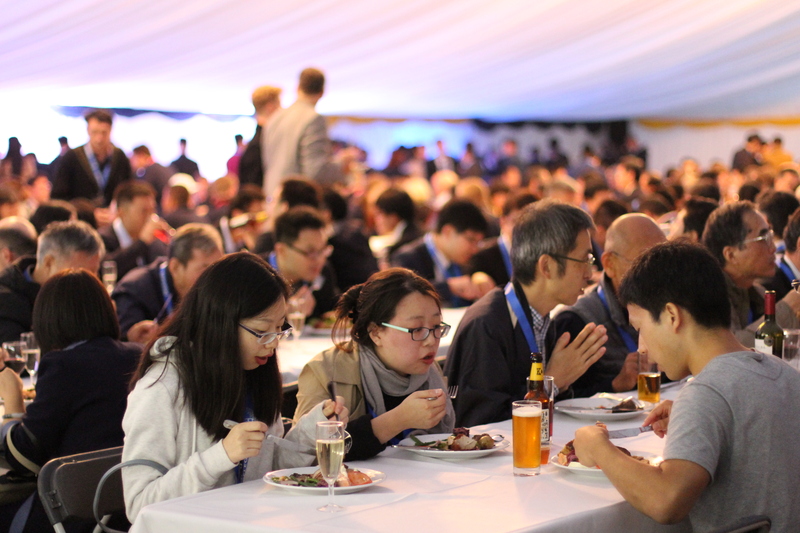 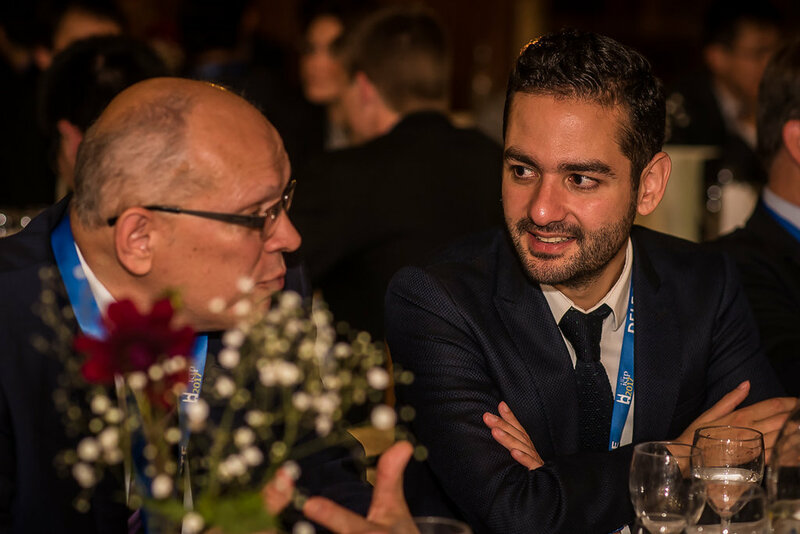 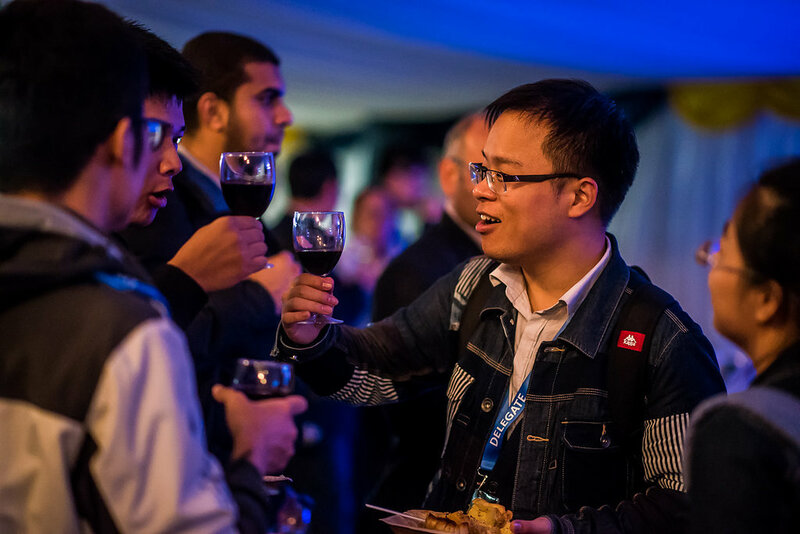 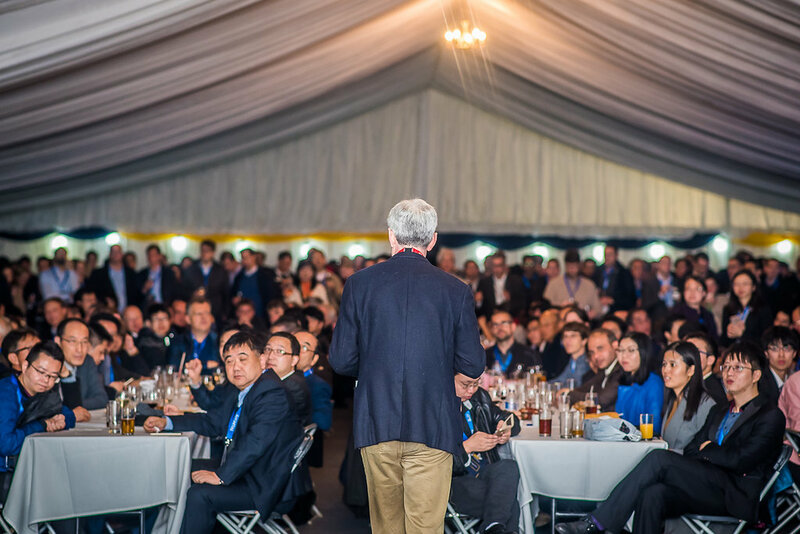 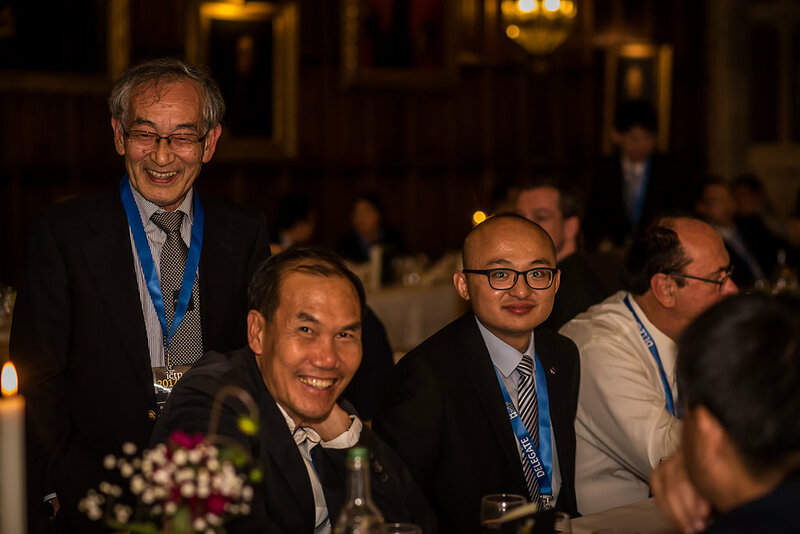 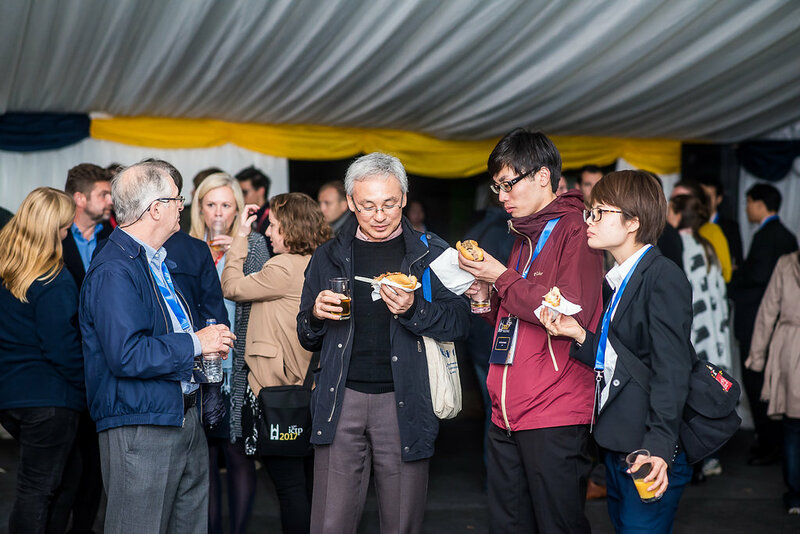 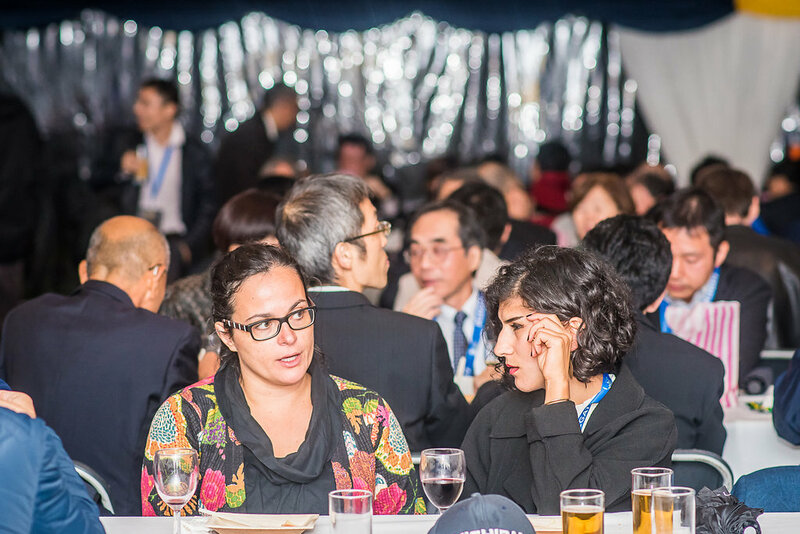 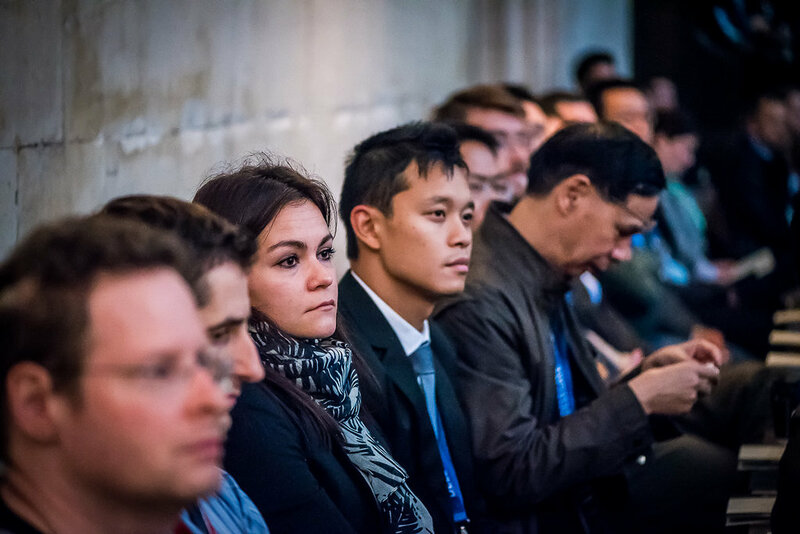 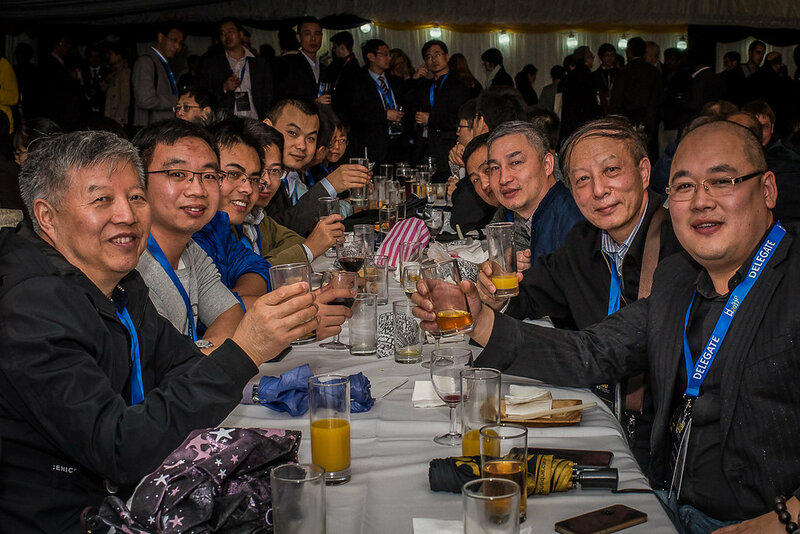 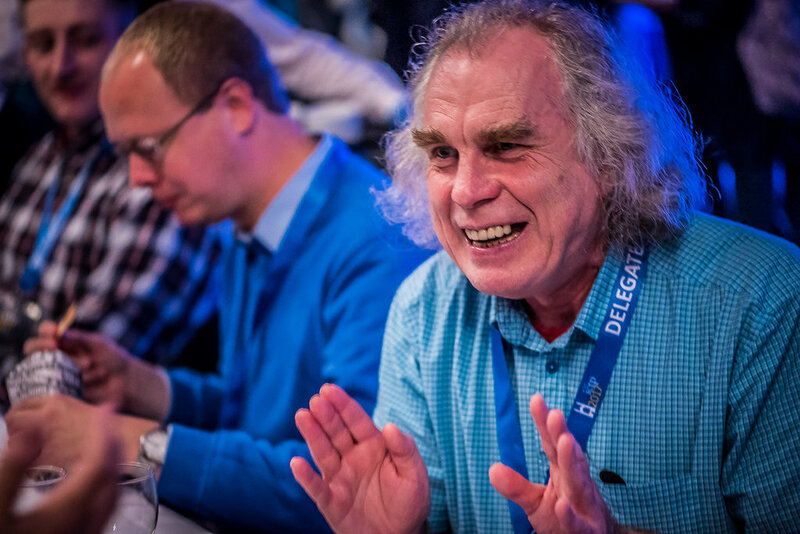 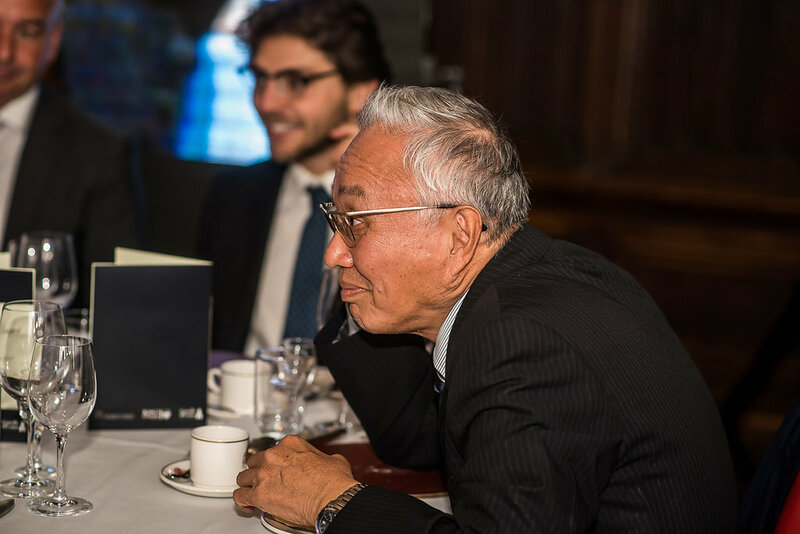 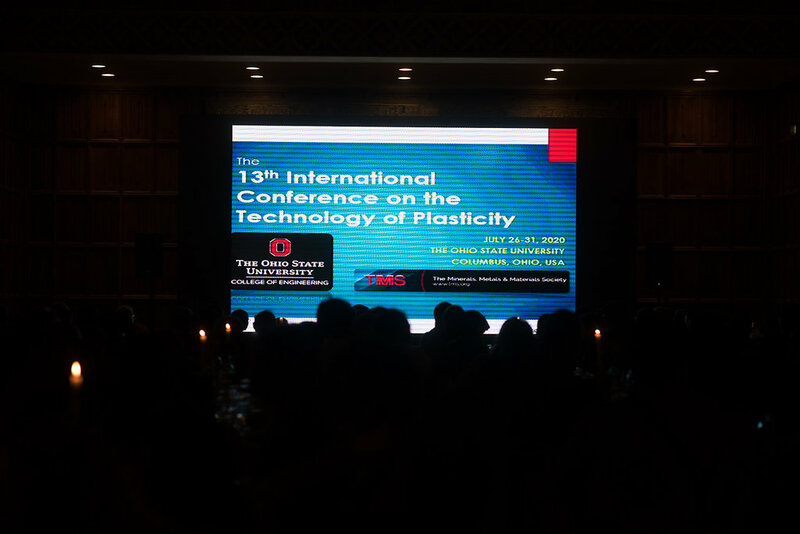 This was the largest group to dine together in the university's long history and the seating plan allowed for some fantastic discussions between senior academics, researchers, industry representatives, accompanying people, guests and the organising committee. 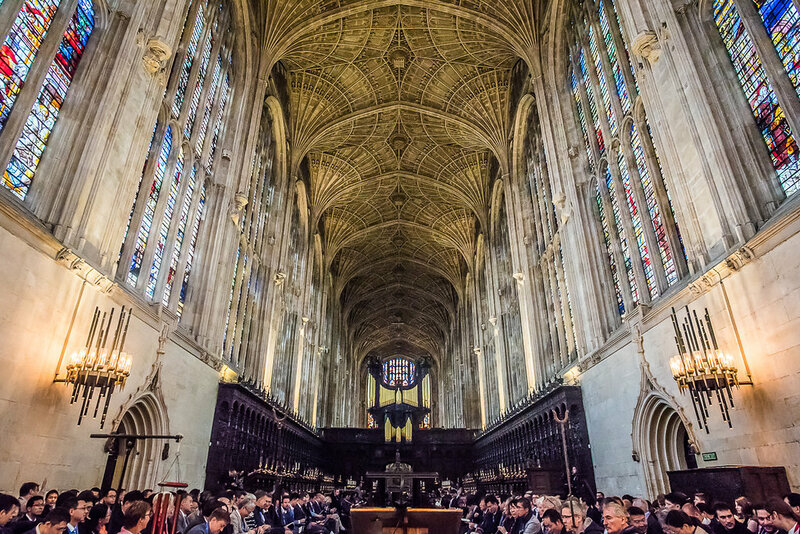 King’s College Chapel is the most iconic building in Cambridge. 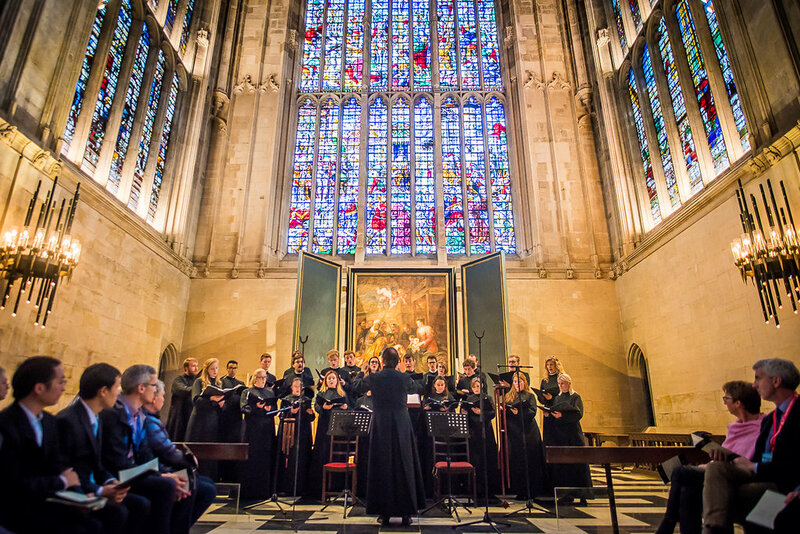 Built over a century by Kings Henry VI and VII, it has the largest fan vault in the world and some of the finest mediaeval stained glass. 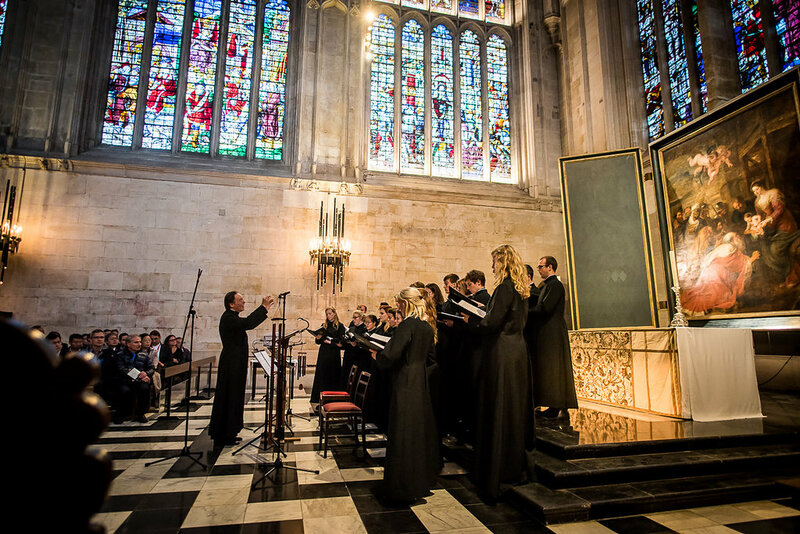 It is also the venue for the annual Christmas Eve service “A Festival of Nine Lessons and Carols” which is broadcast to millions around the world. 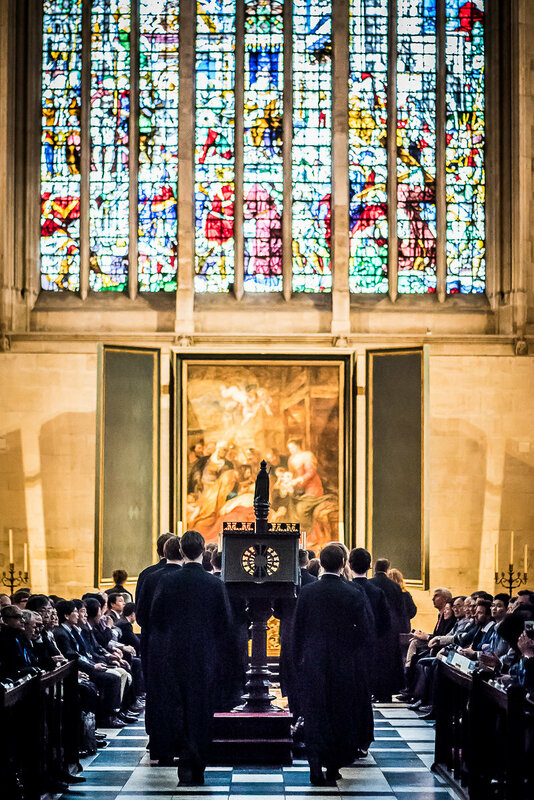 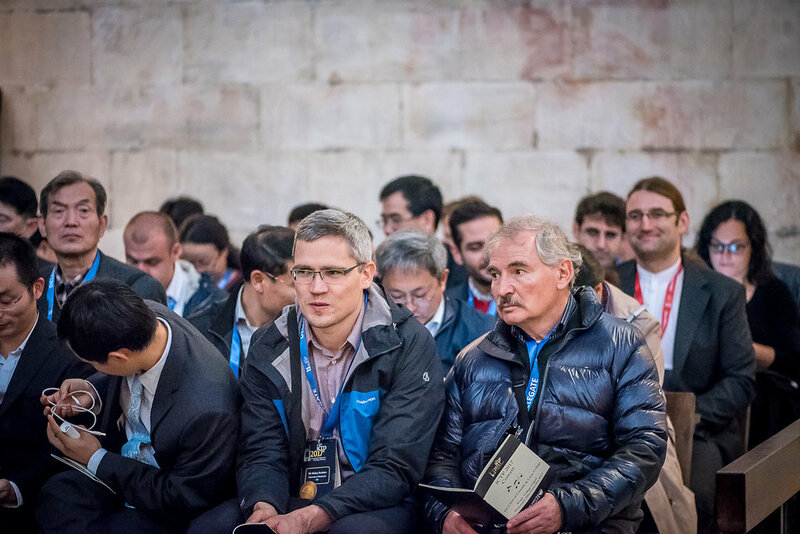 We were extremely privileged to be allowed to hold a private concert for ICTP delegates and accompanying people, given by the world famous choir of Gonville and Caius College and directed by Geoffrey Webber. 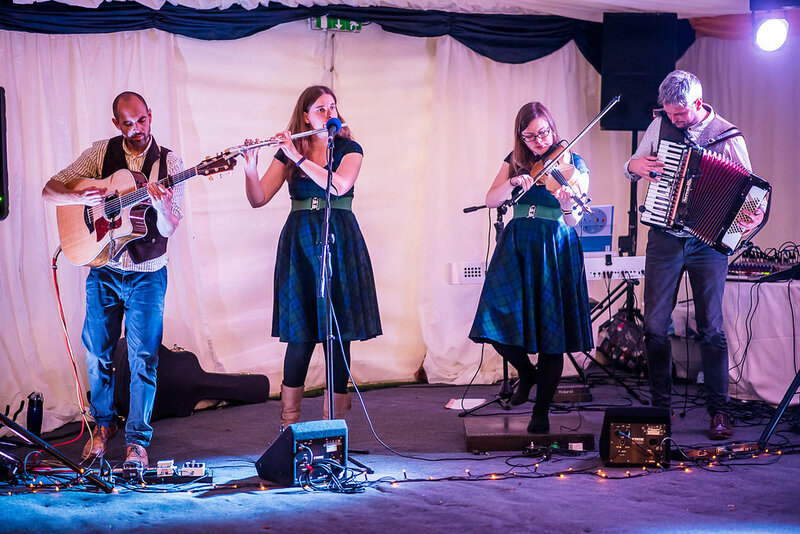 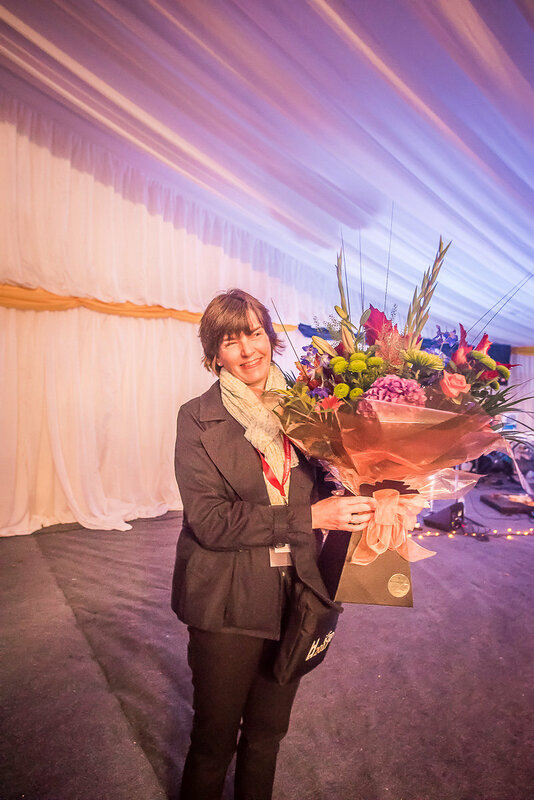 We ended the week with an informal party in the Peterhouse Marquee with traditional local ale, hog roast and pie and our folk band, Stumpy Oak instigated a traditional Celtic Ceilidh.